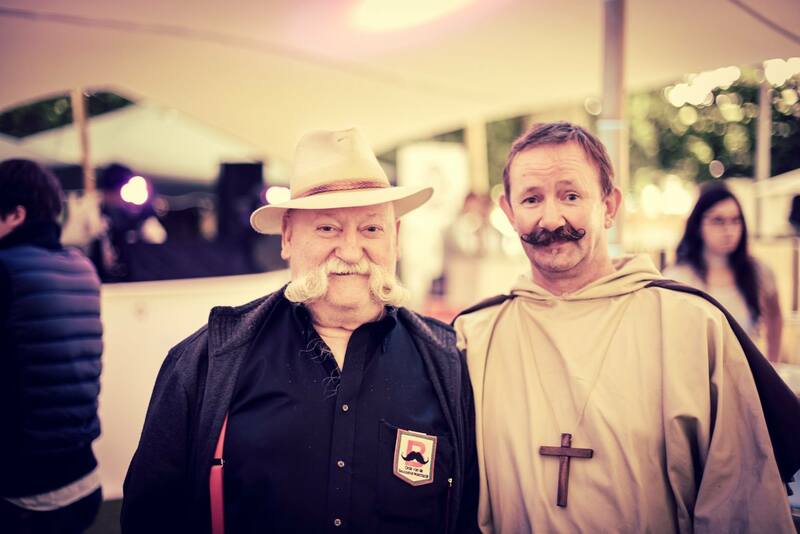 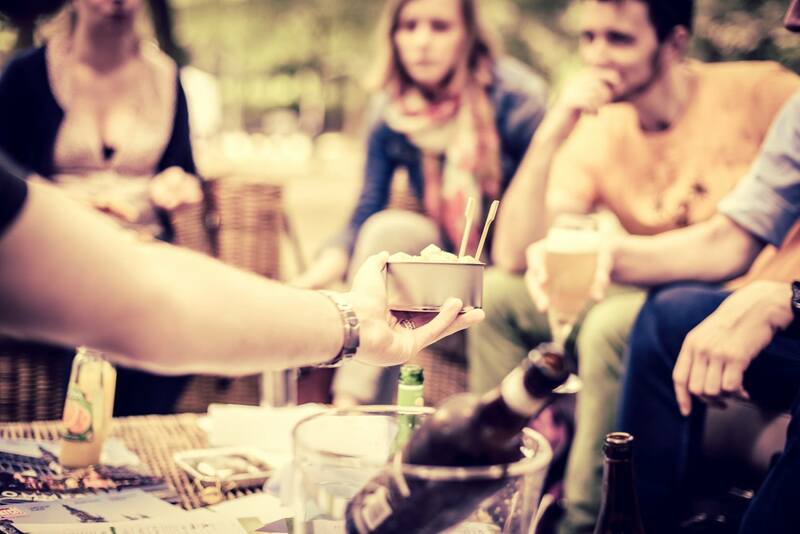 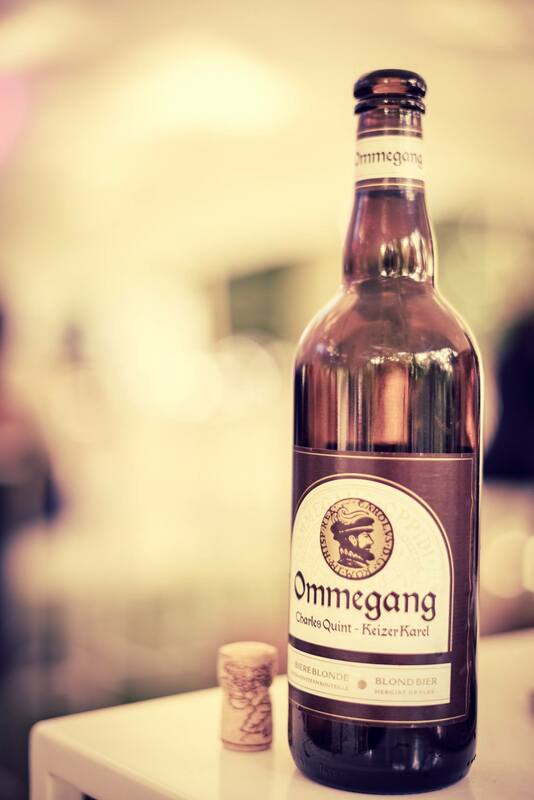 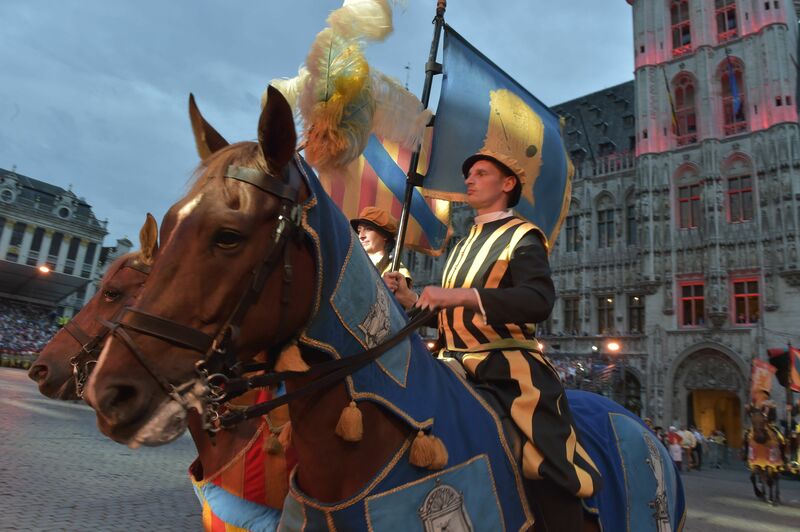 Official Trailer Ommegang 2015 - They”re back ! 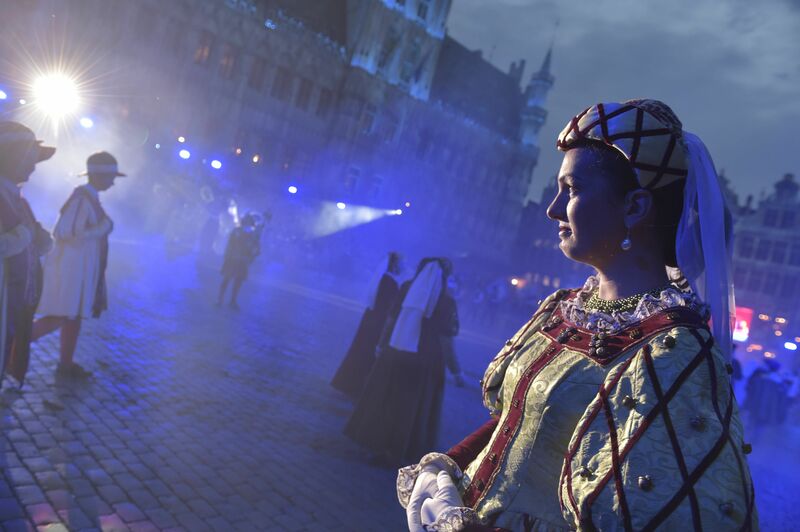 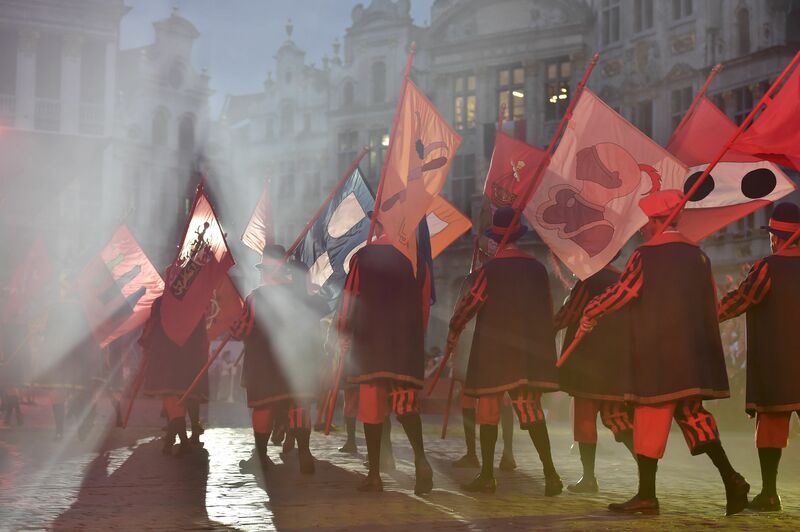 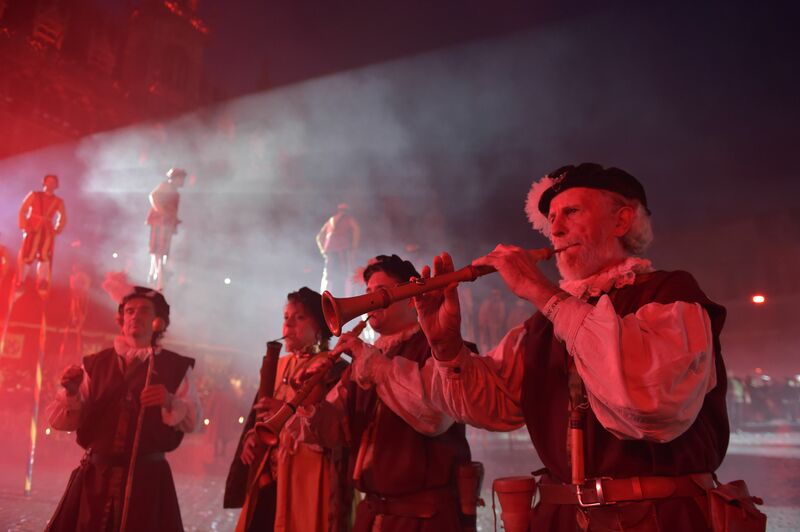 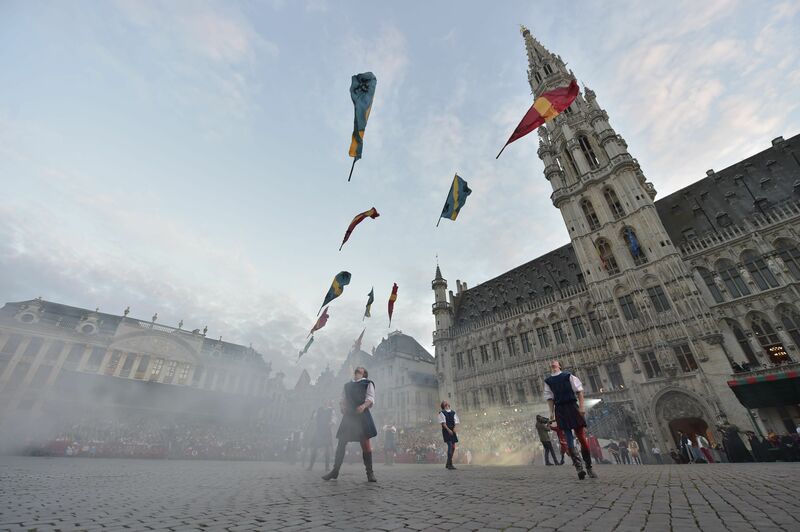 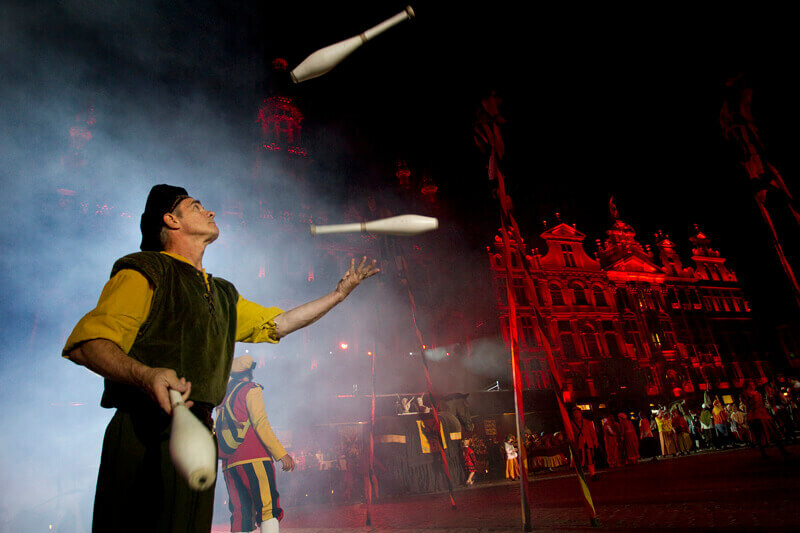 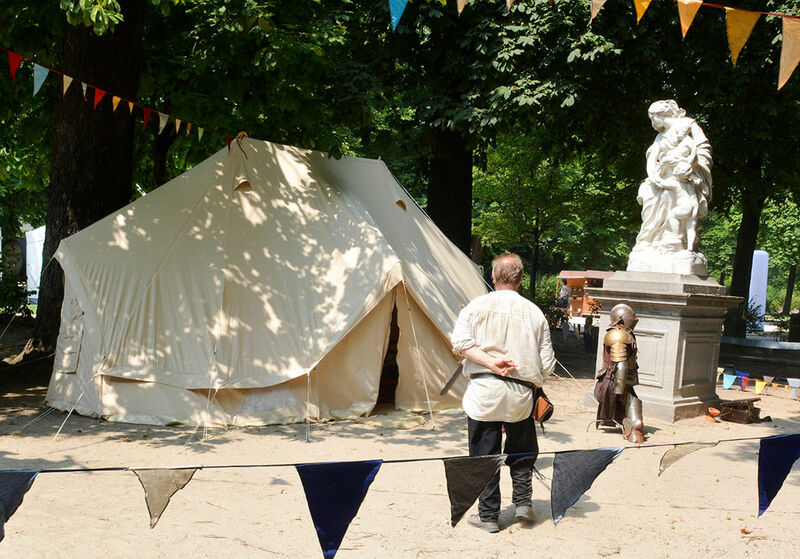 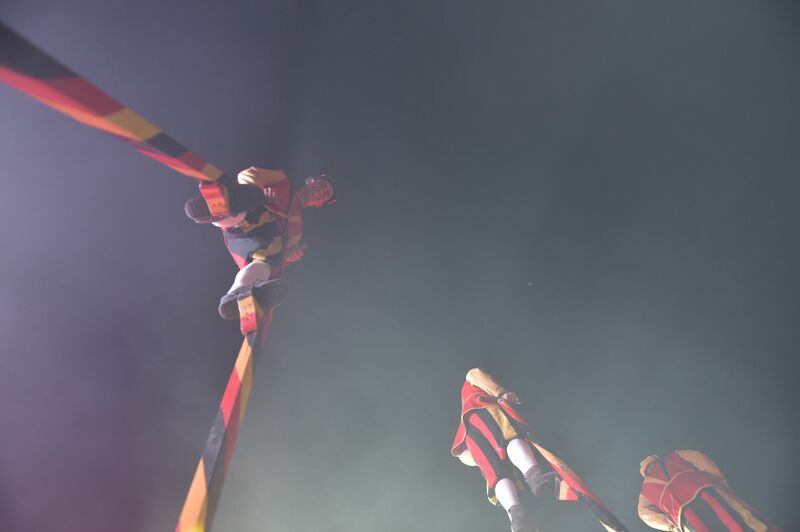 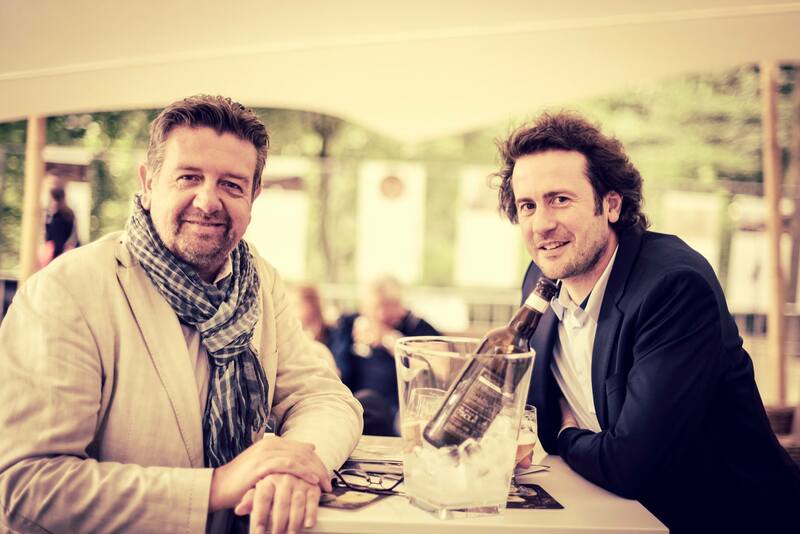 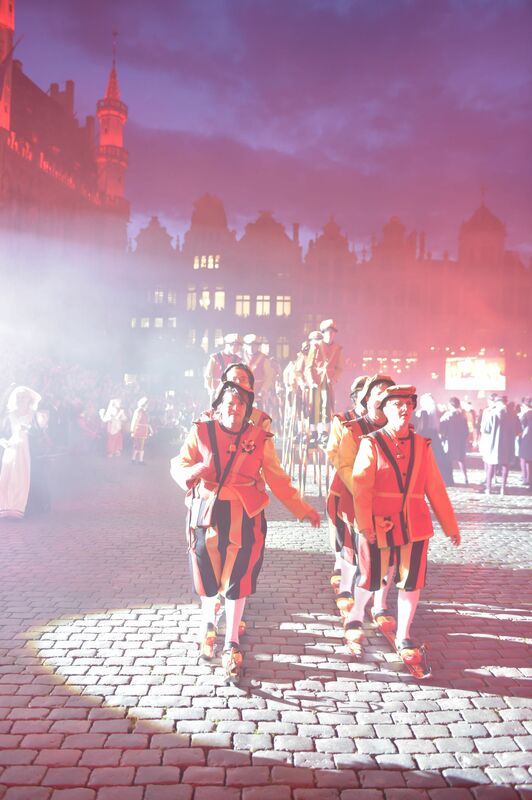 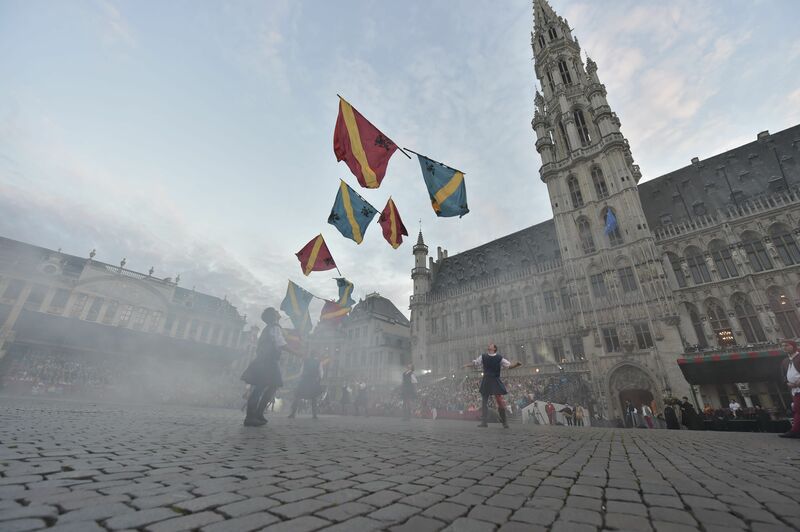 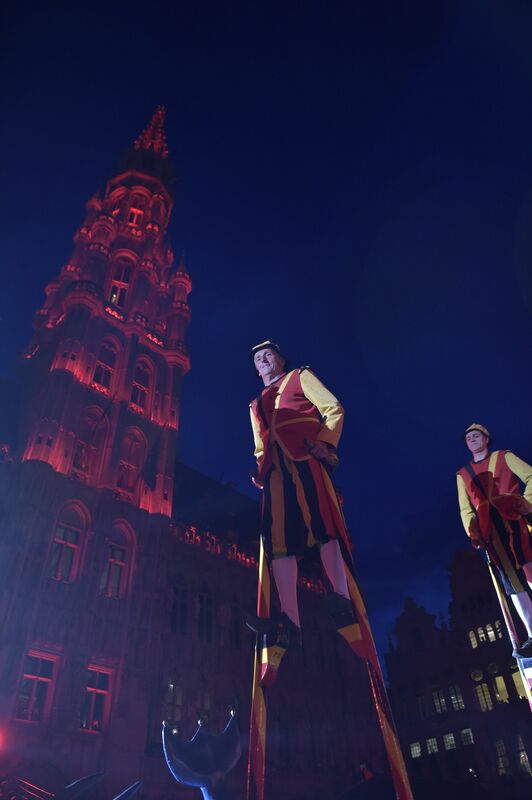 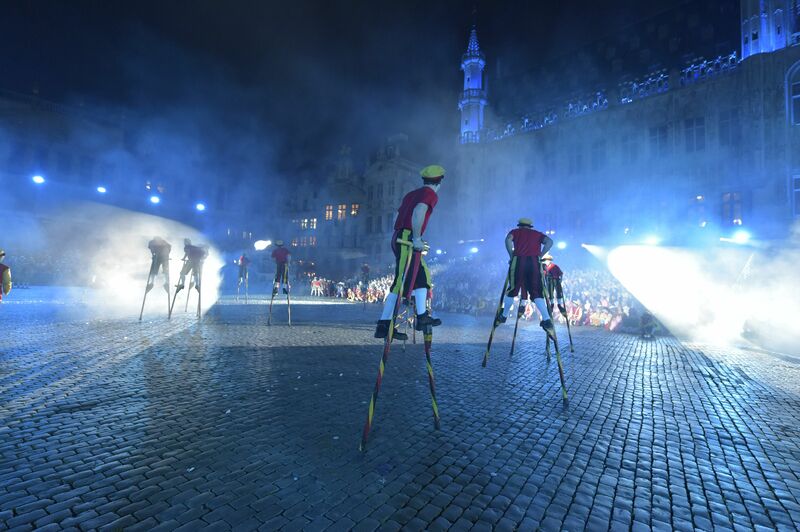 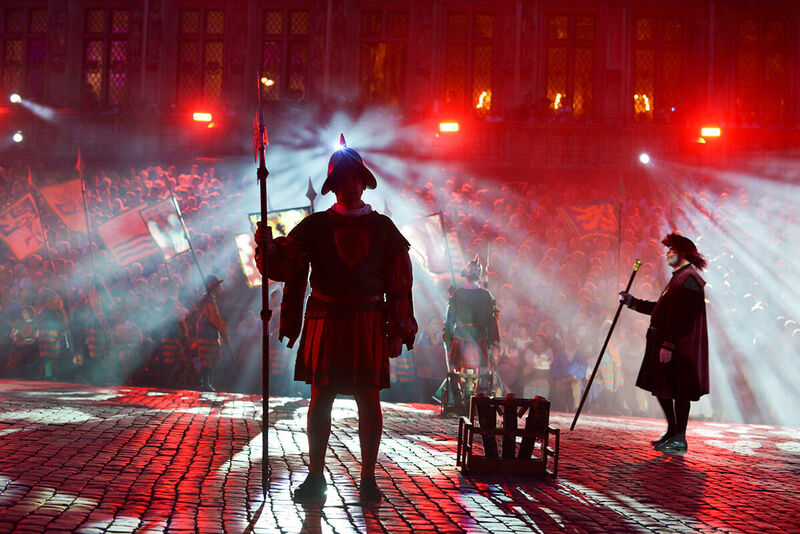 Cette année l"Ommegang se tiendra les 1er et 3 juillet sur la Grand Place de Bruxelles.Réservez d"
TV5 Monde - ESCAPADE, LE MAGAZINE DES PATRIMOINES Partez à la découverte de Bruxelles et l\'Ommegang. 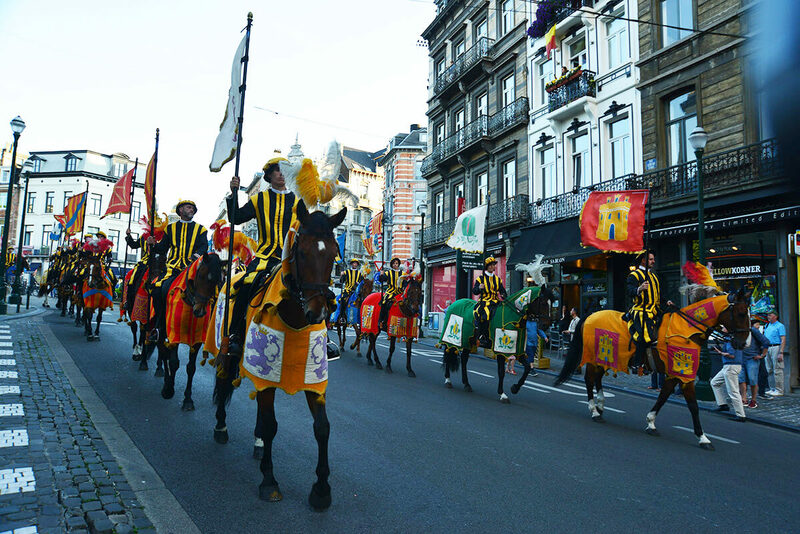 Official Trailer Ommegang 2015 - They"re back ! 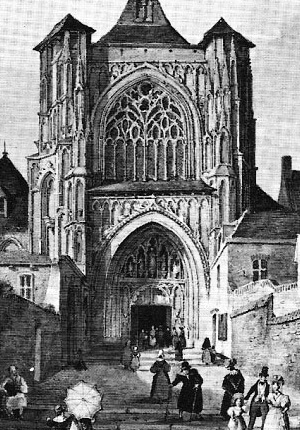 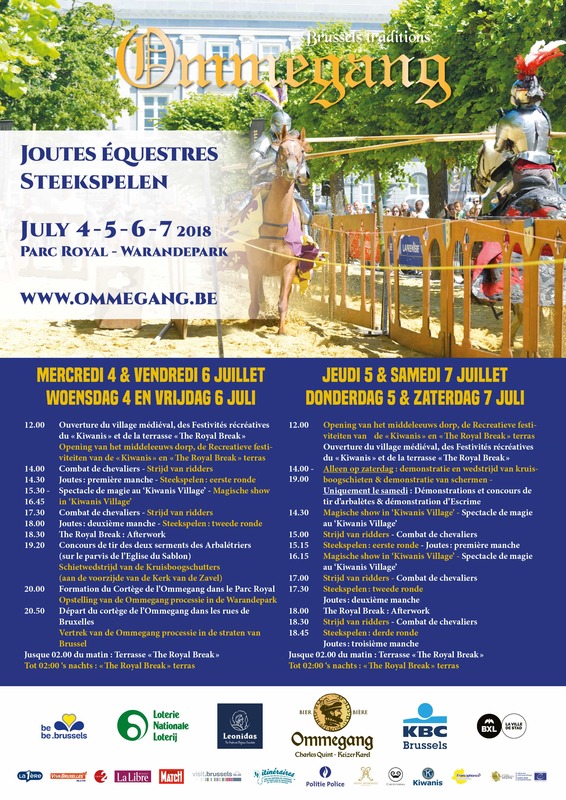 Une histoire vraie... Il y a 466 ans Charles Quint arrive à Bruxelles pour l"Ommegang ! 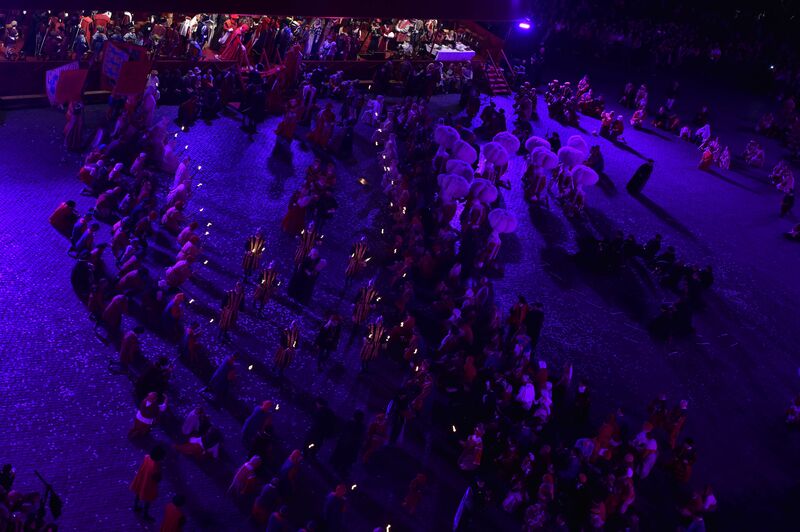 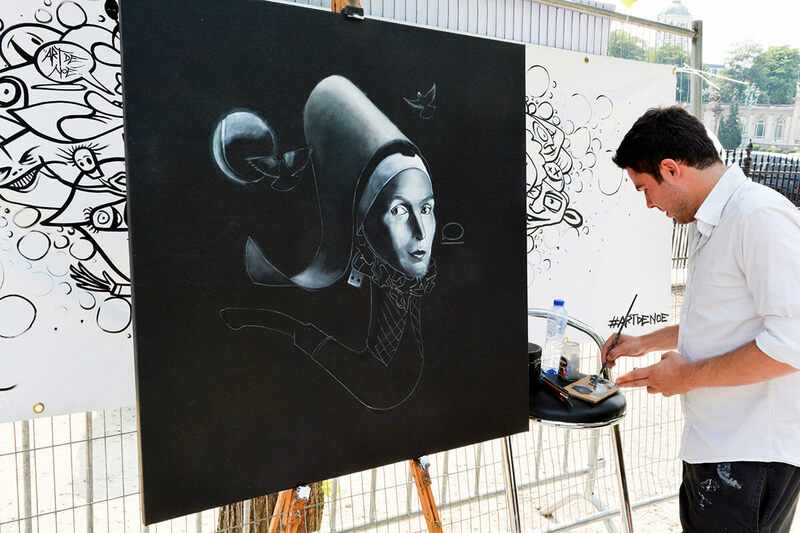 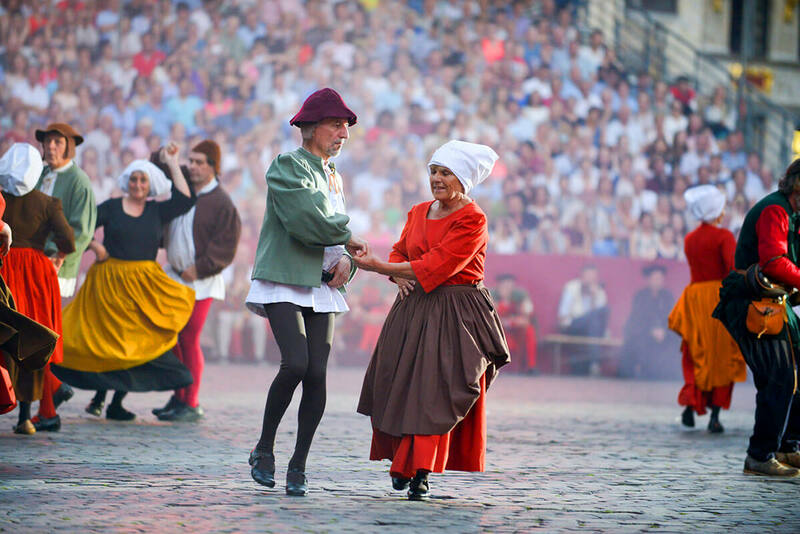 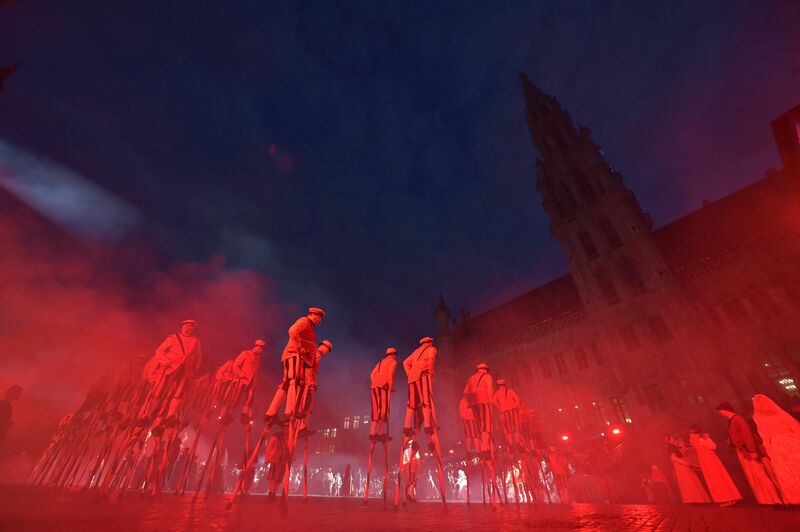 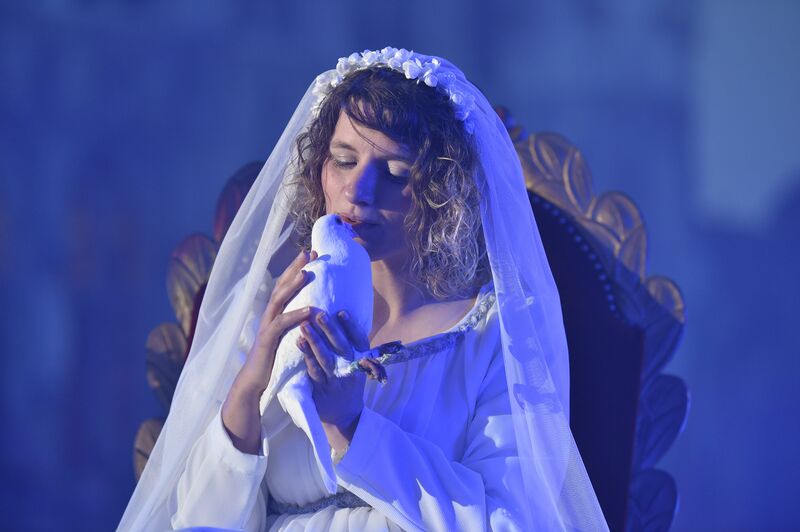 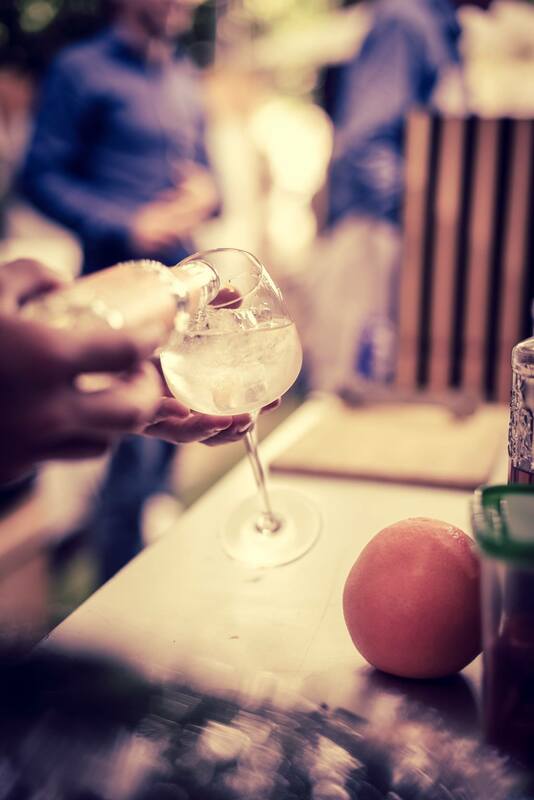 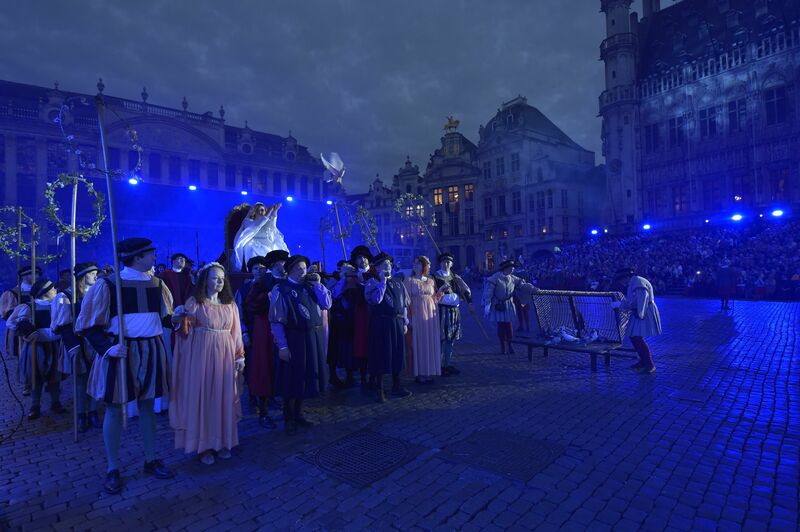 Plus de 1400 figurants vous feront vivre un voyage à travers la Renaissance dans le cadre prestigieux de la Grand Place de Bruxelles! 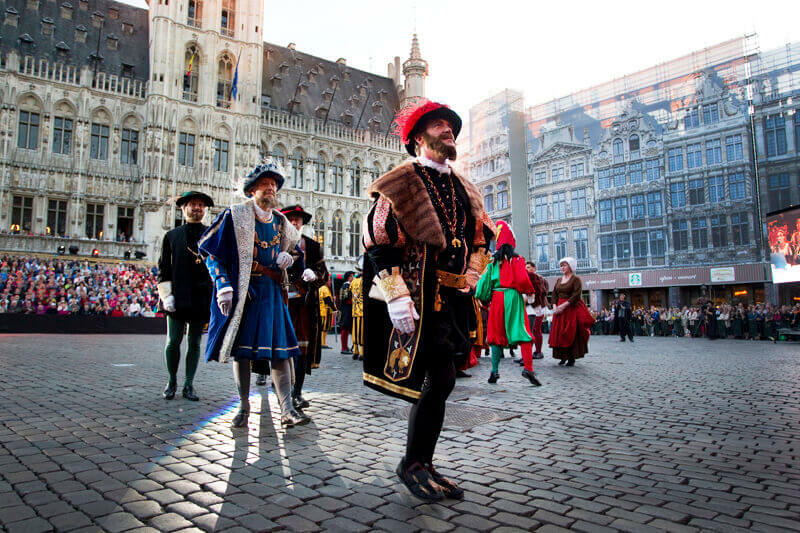 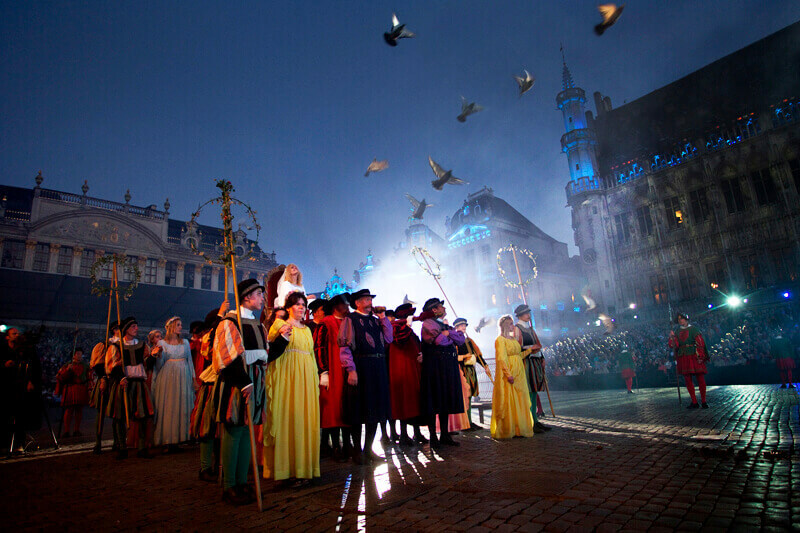 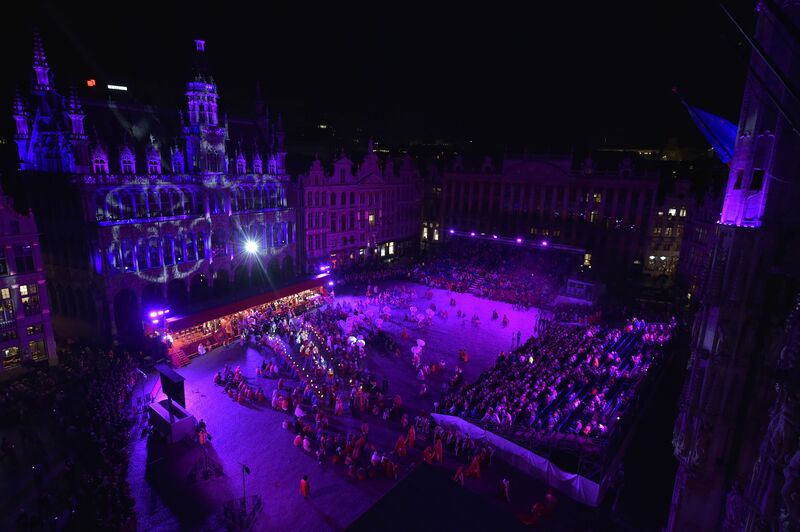 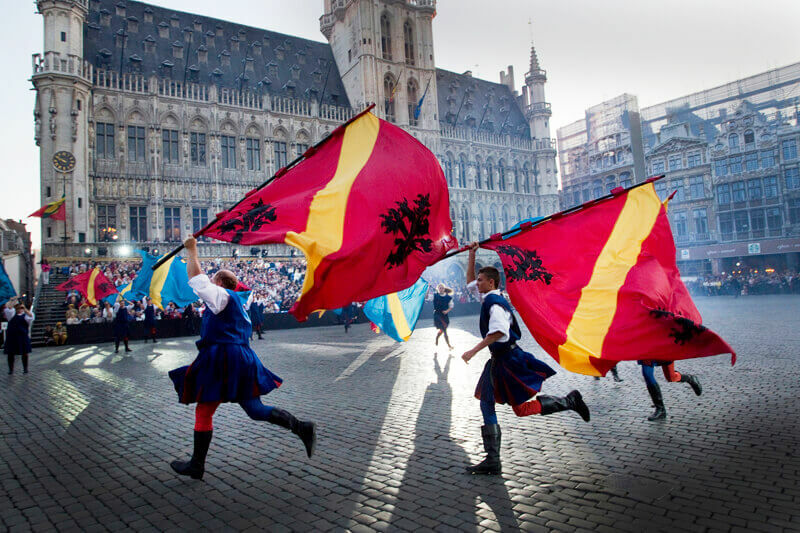 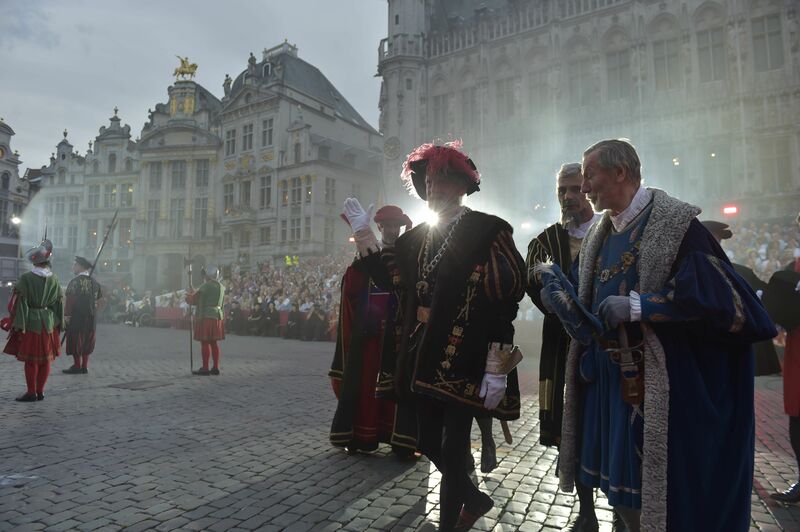 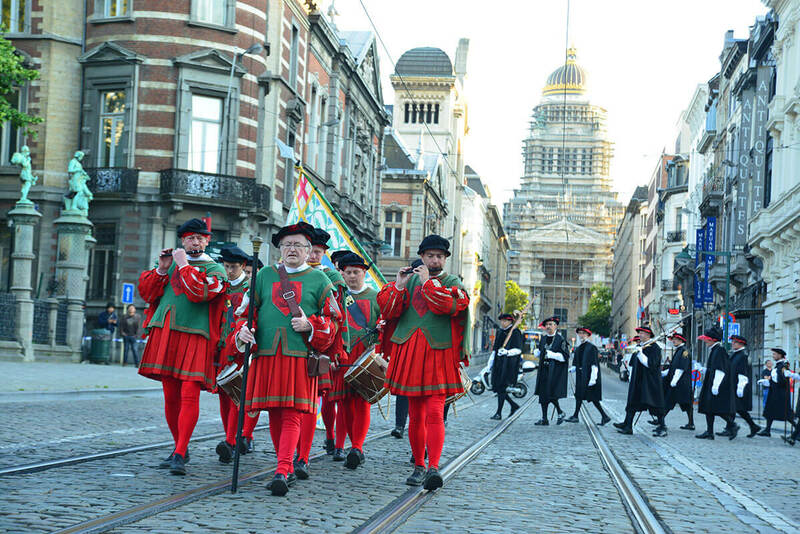 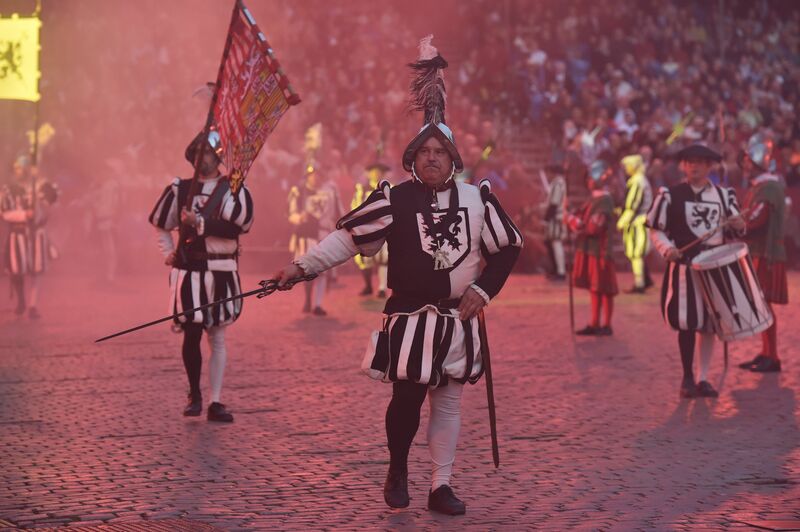 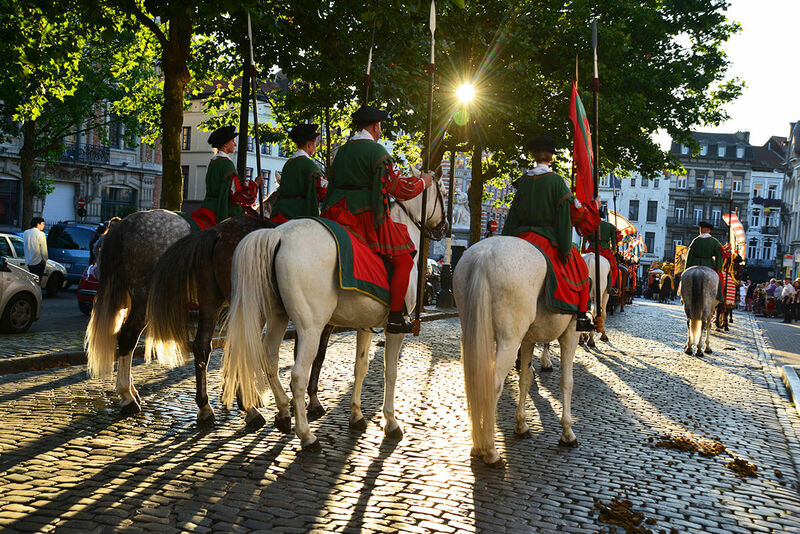 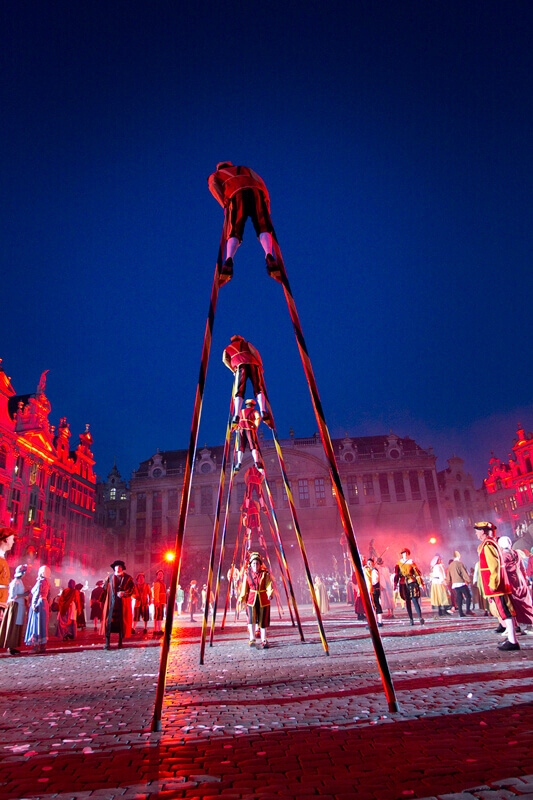 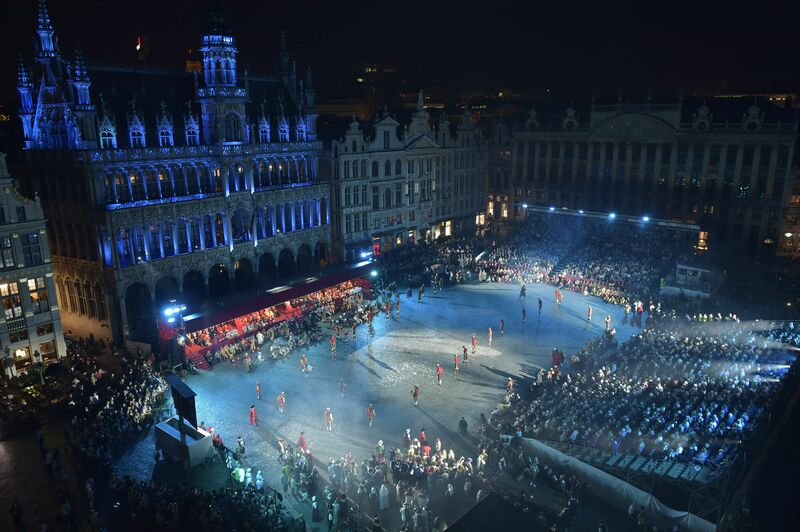 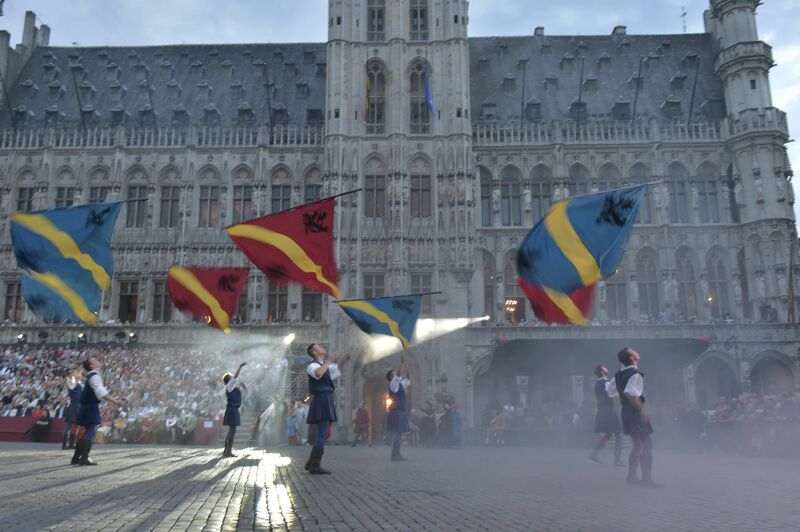 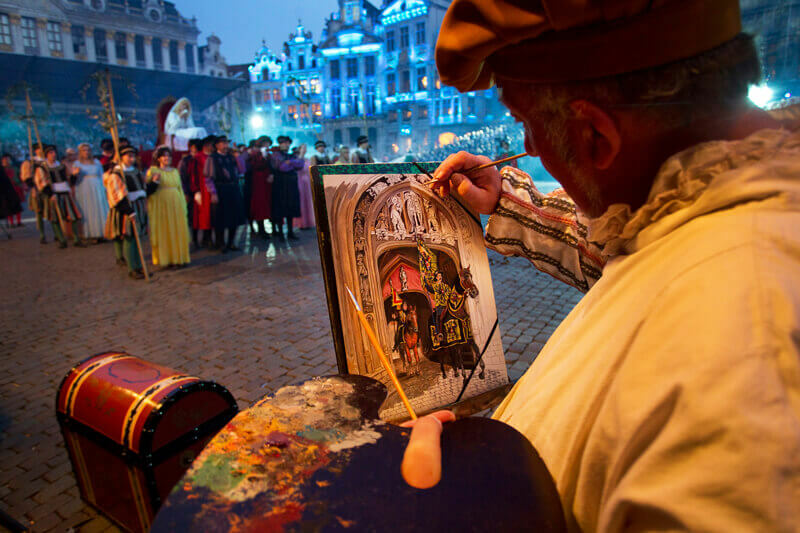 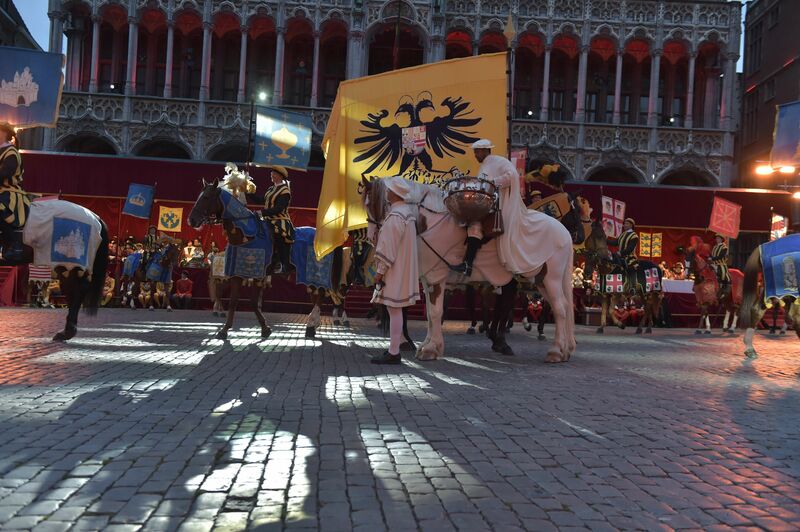 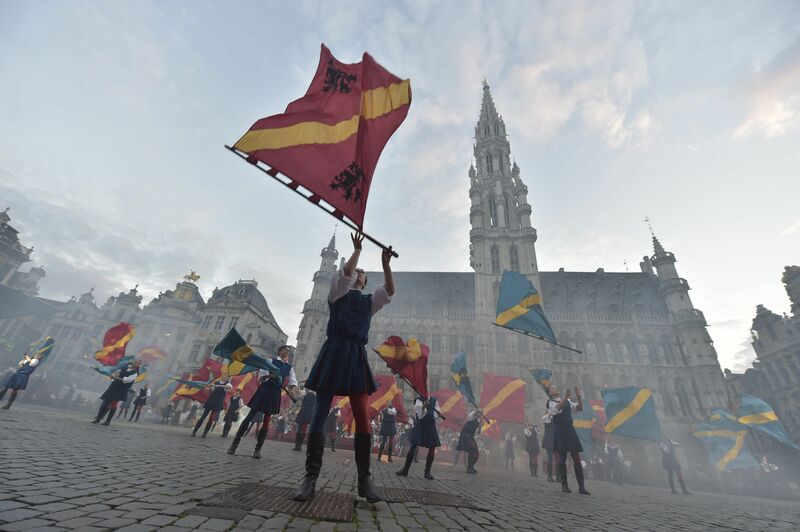 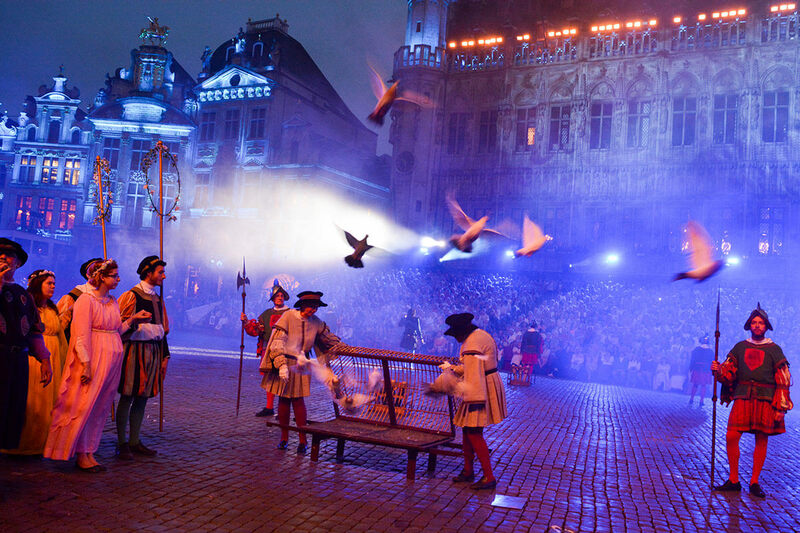 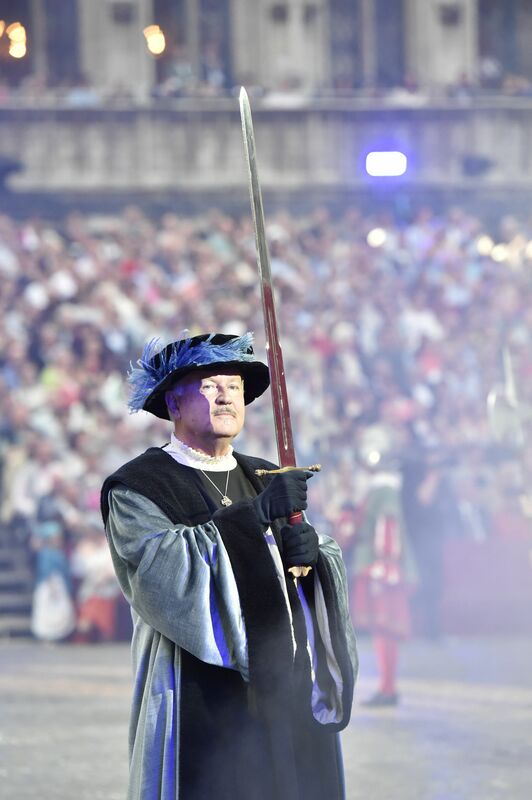 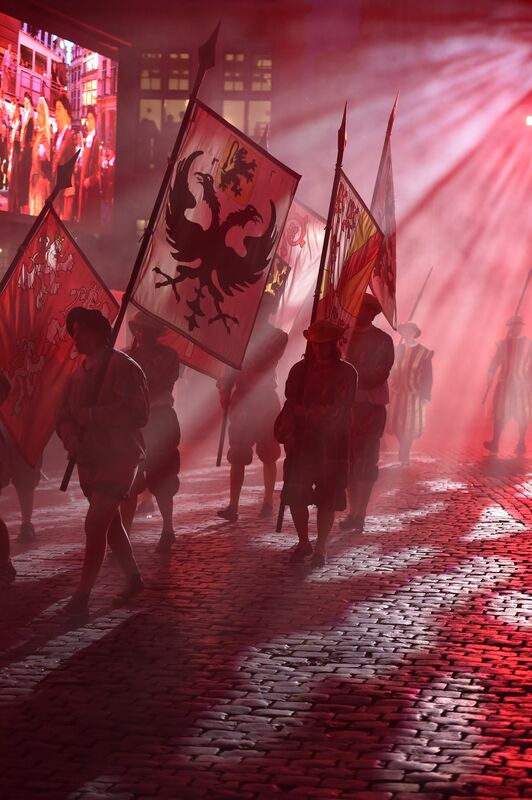 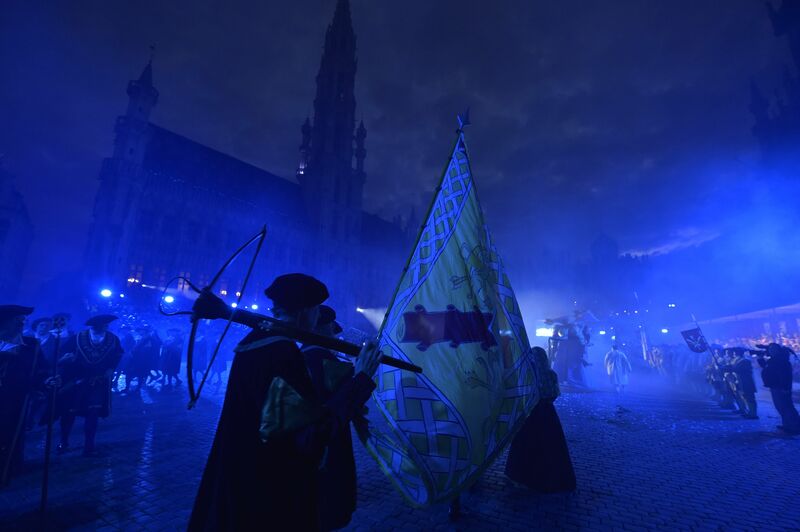 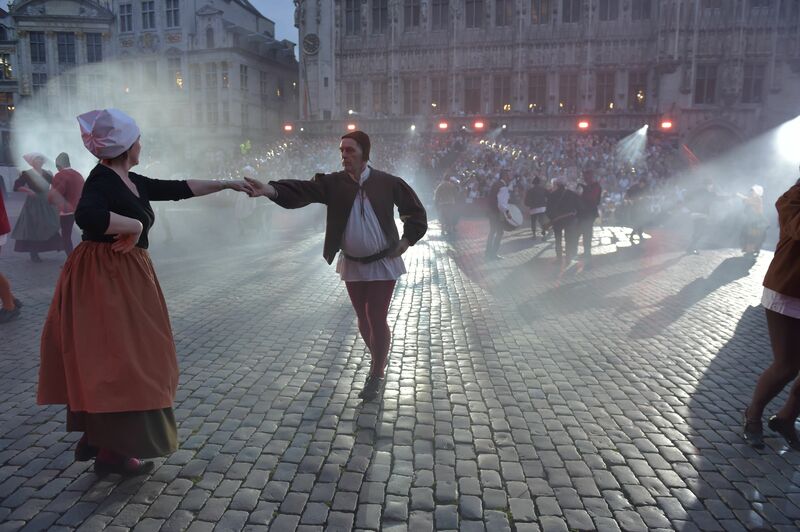 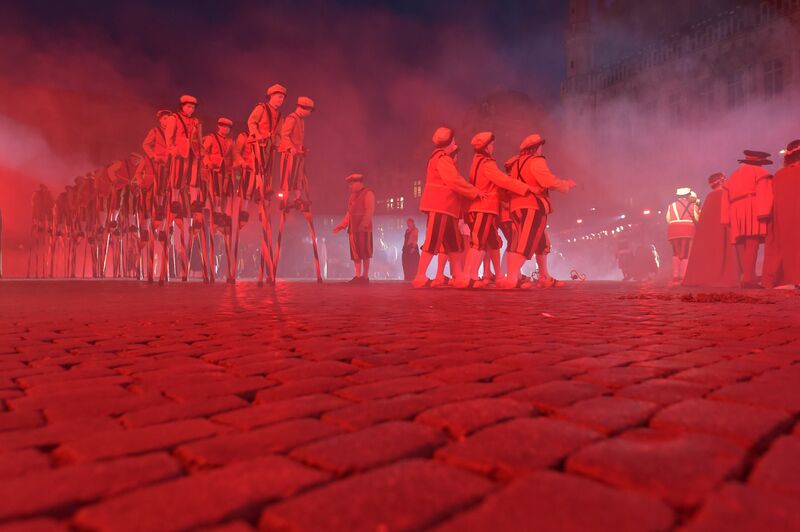 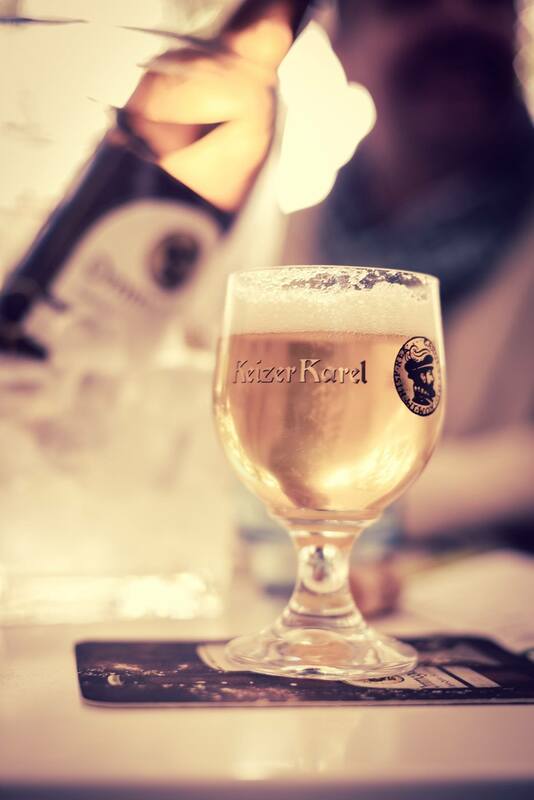 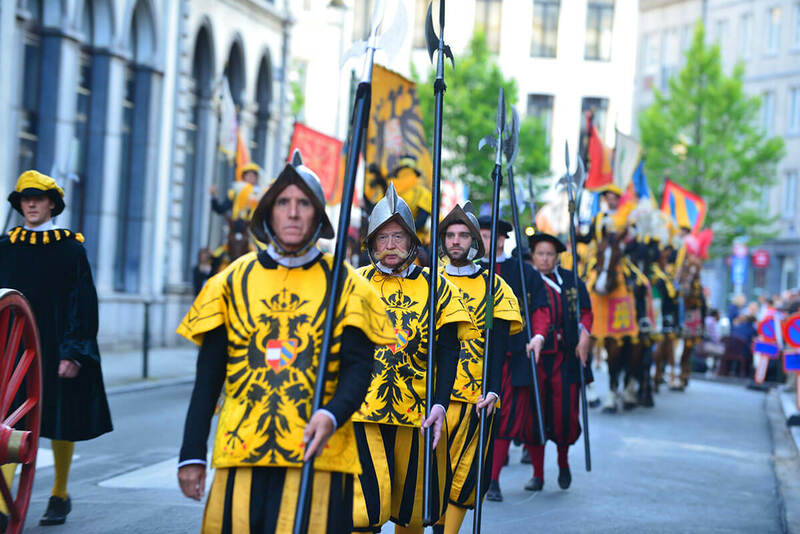 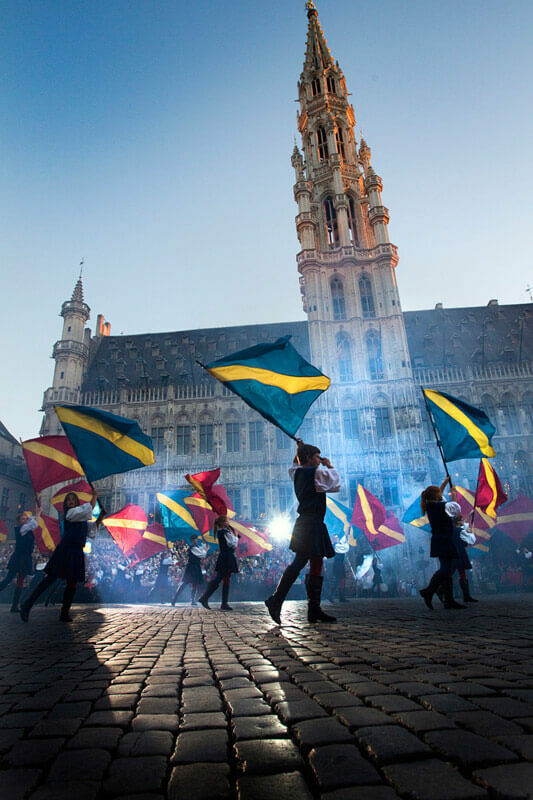 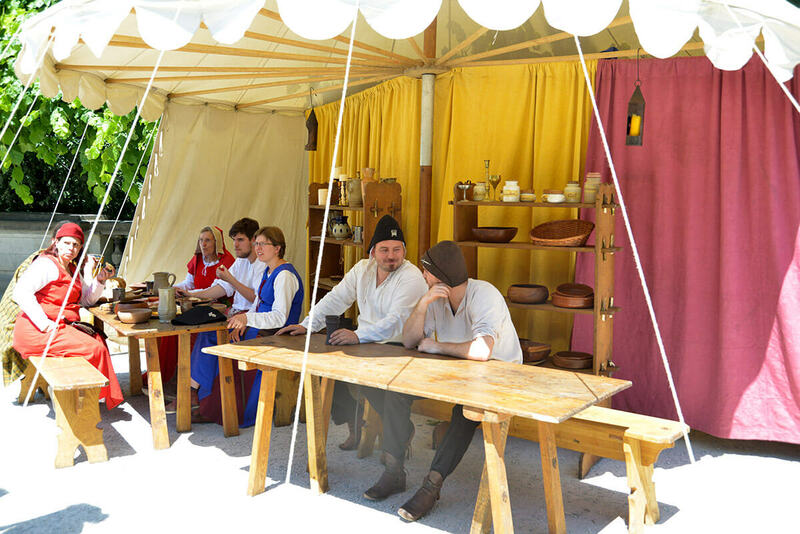 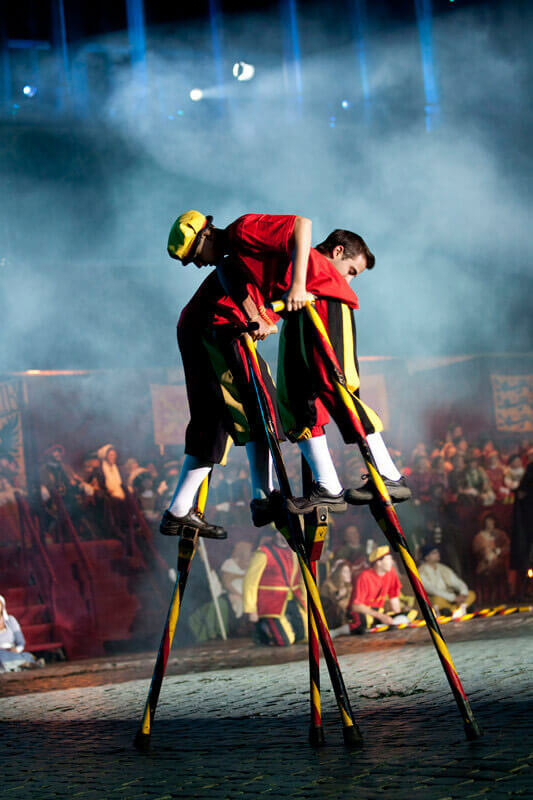 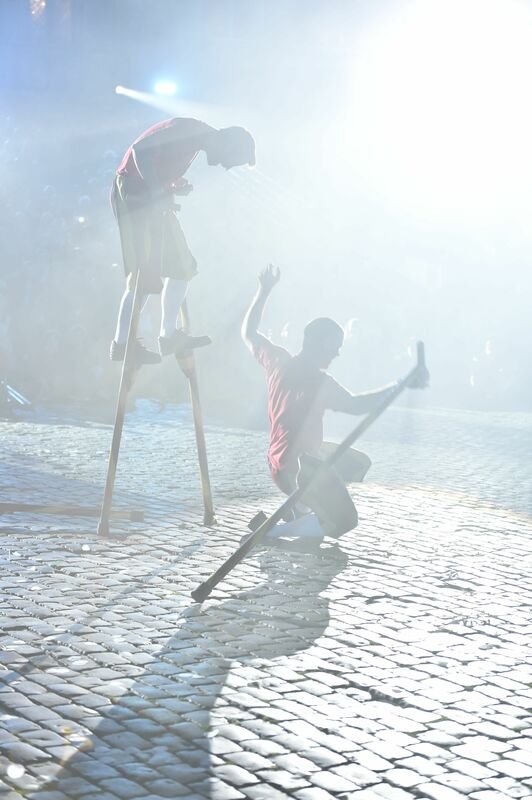 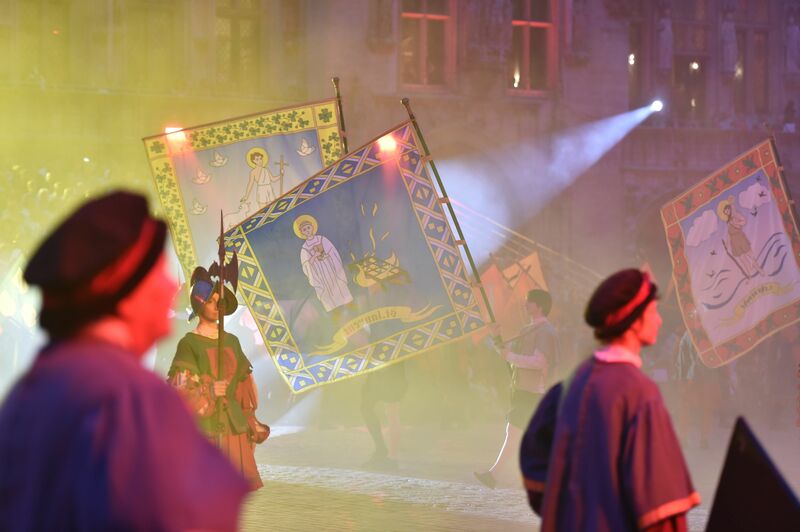 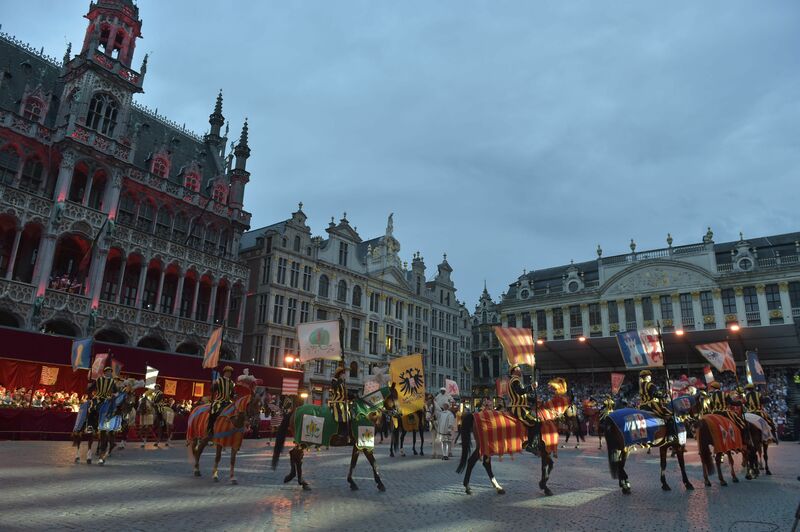 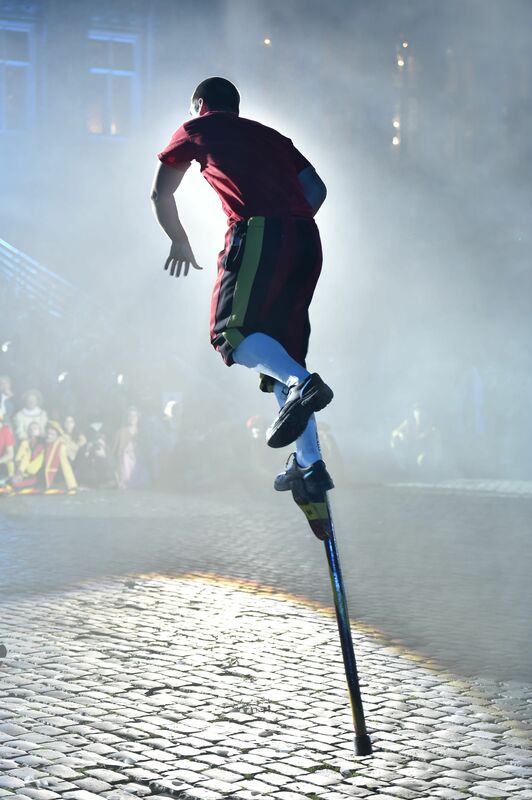 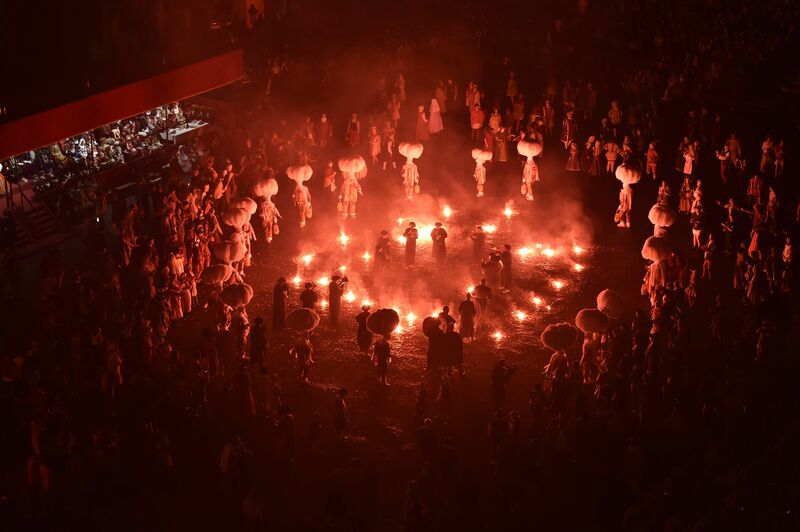 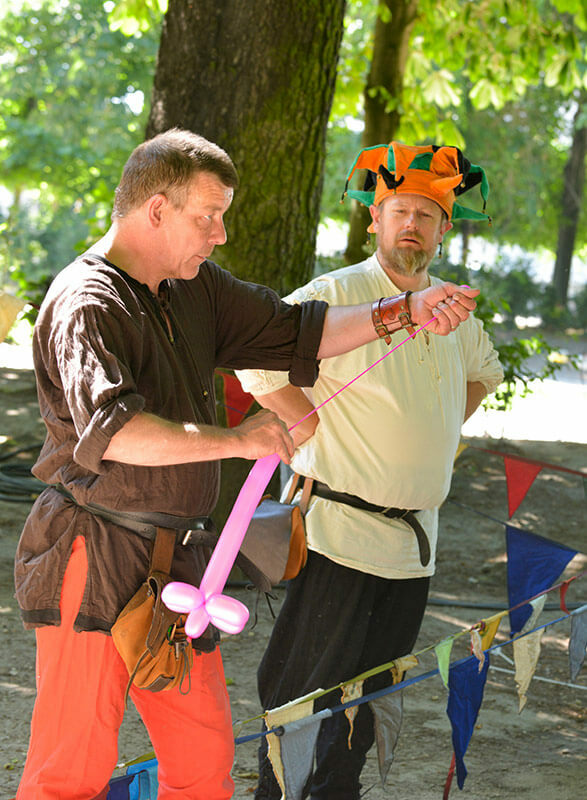 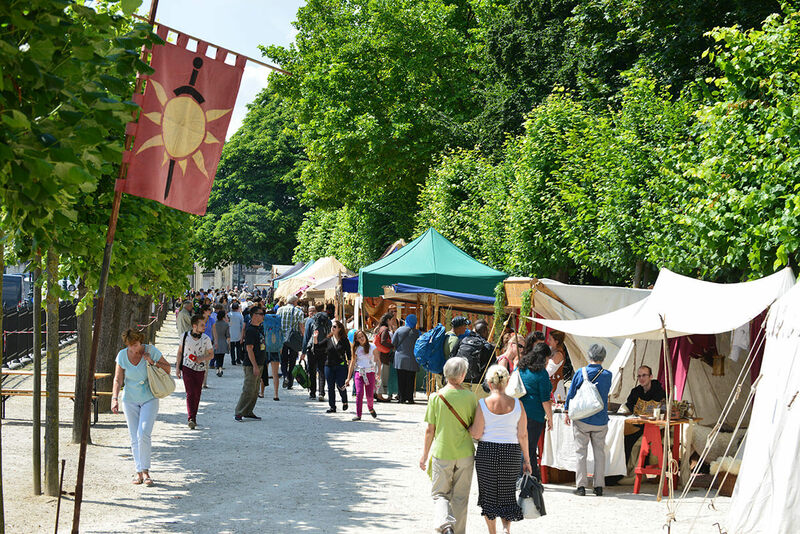 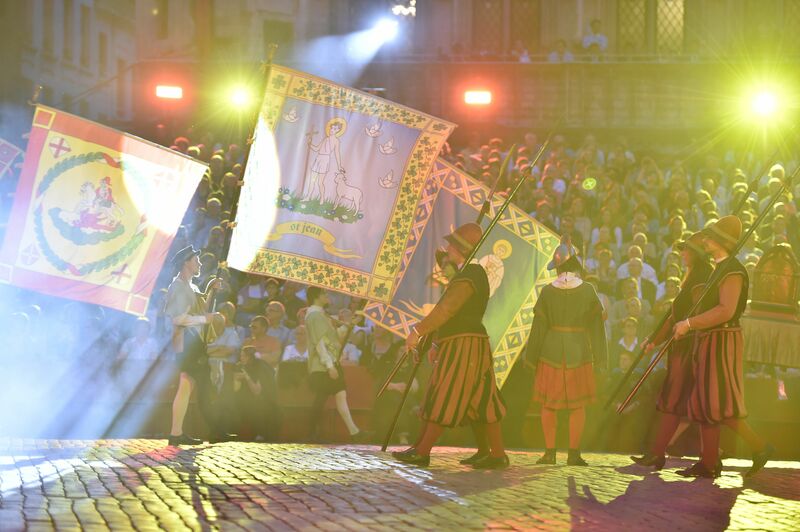 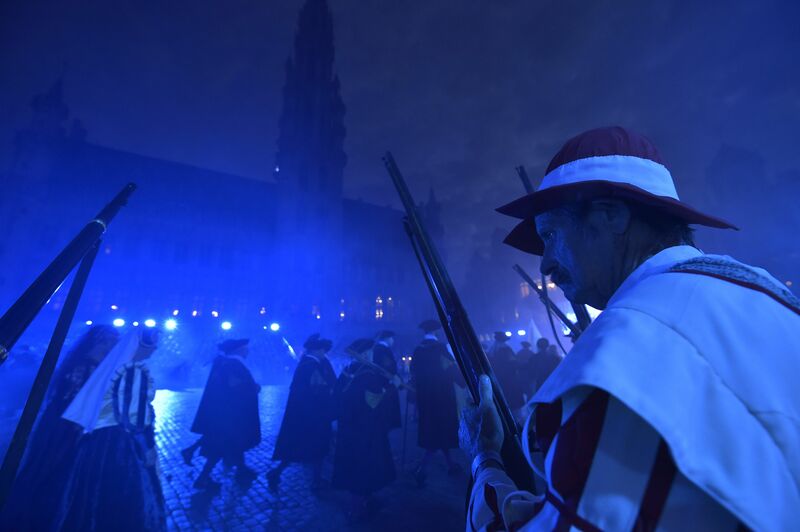 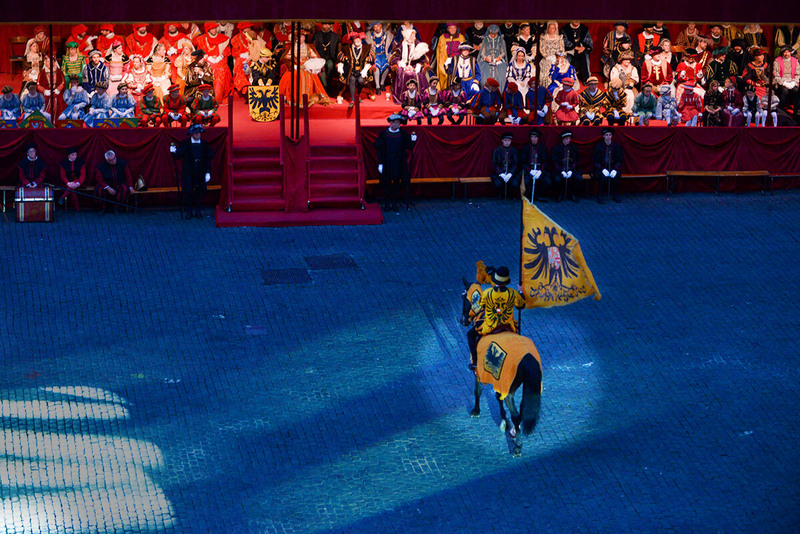 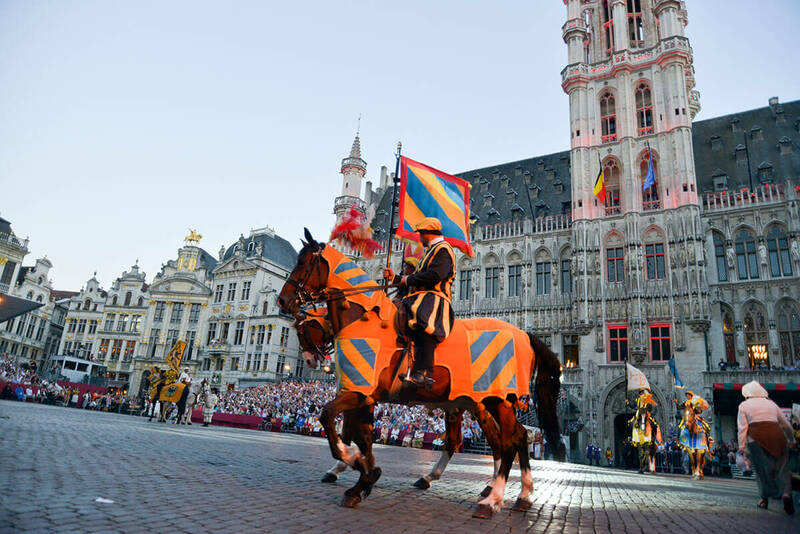 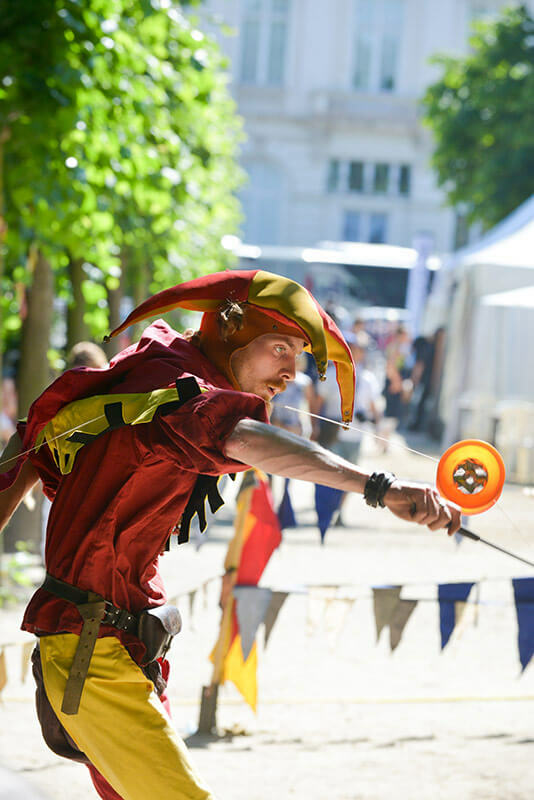 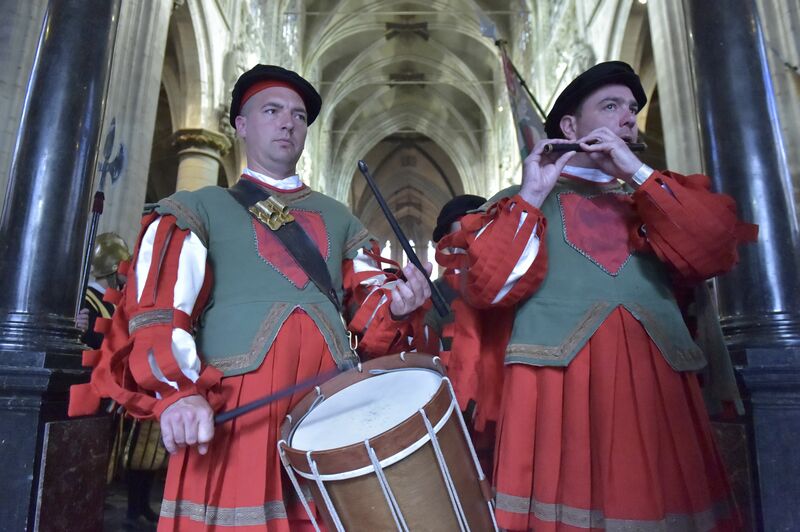 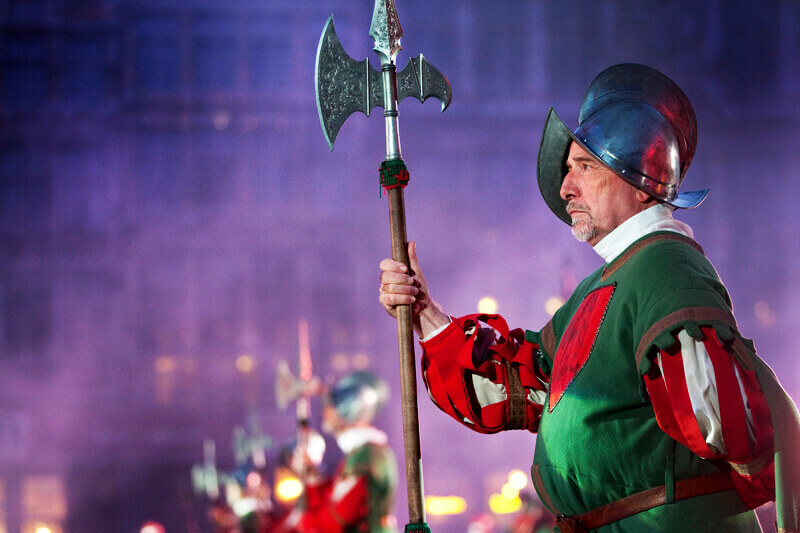 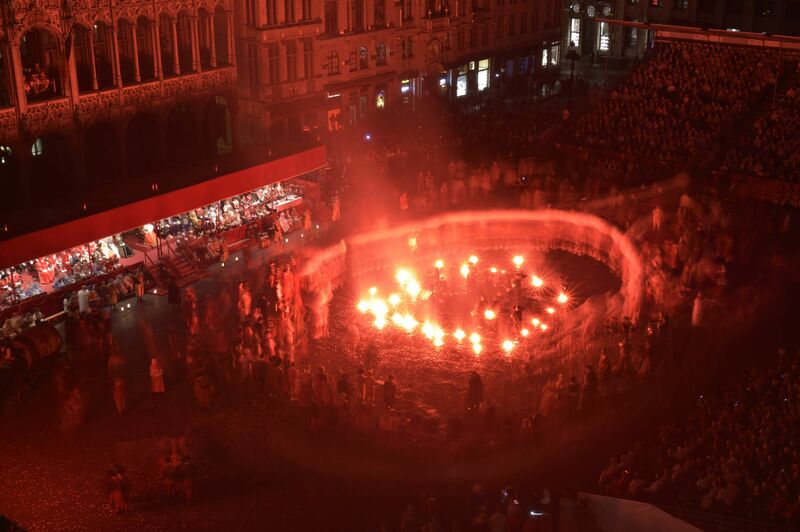 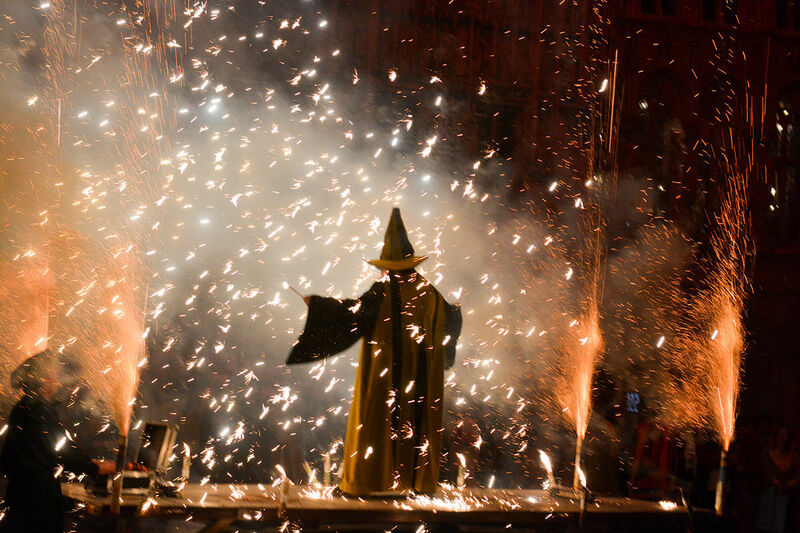 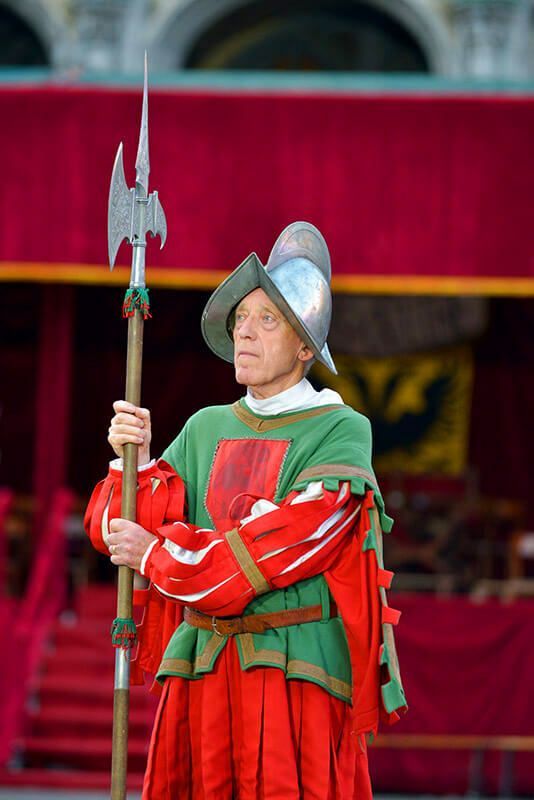 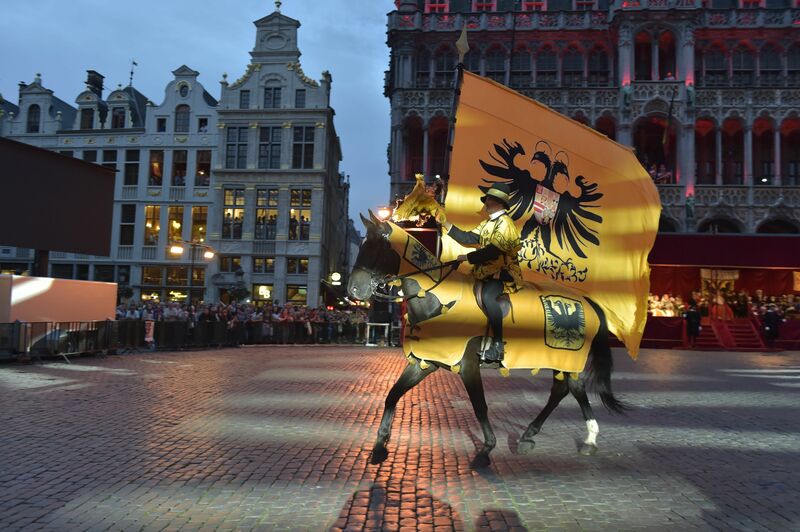 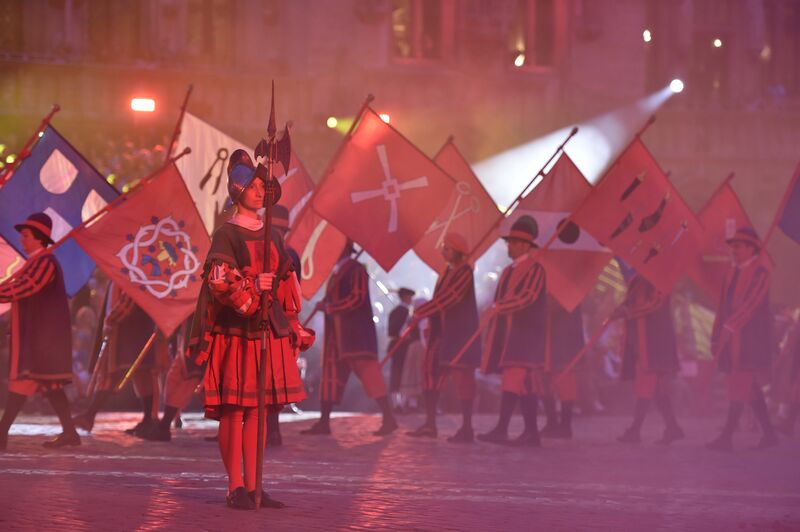 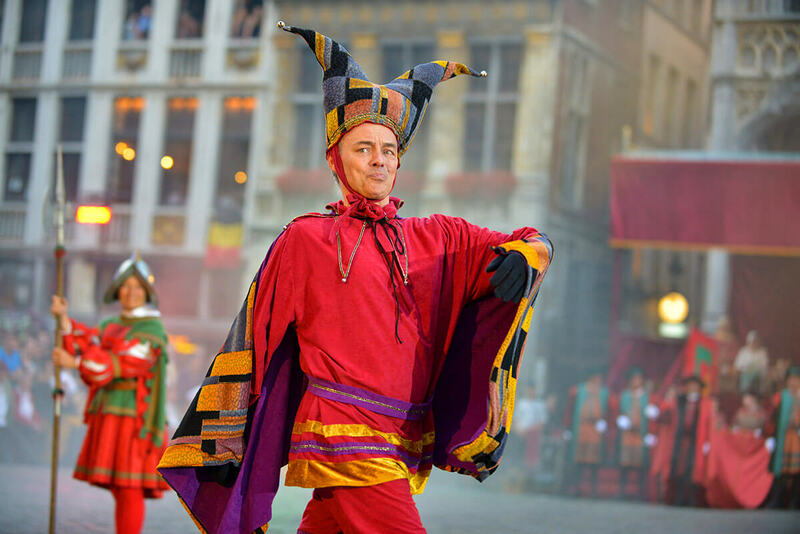 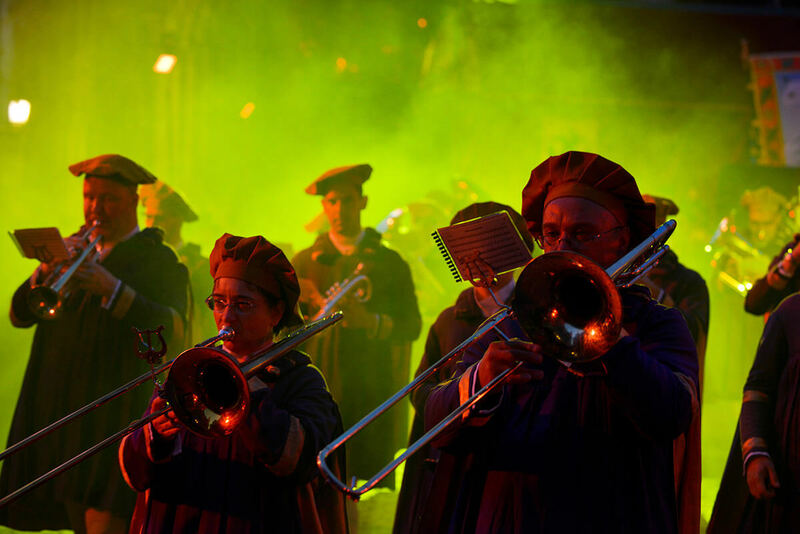 Cette année l"Ommegang se tiendra les 1er et 3 juillet sur la Grand Place de Bruxelles.Réservez d"ores et déjà vos places sur www.ommegang.beAlors quoi? 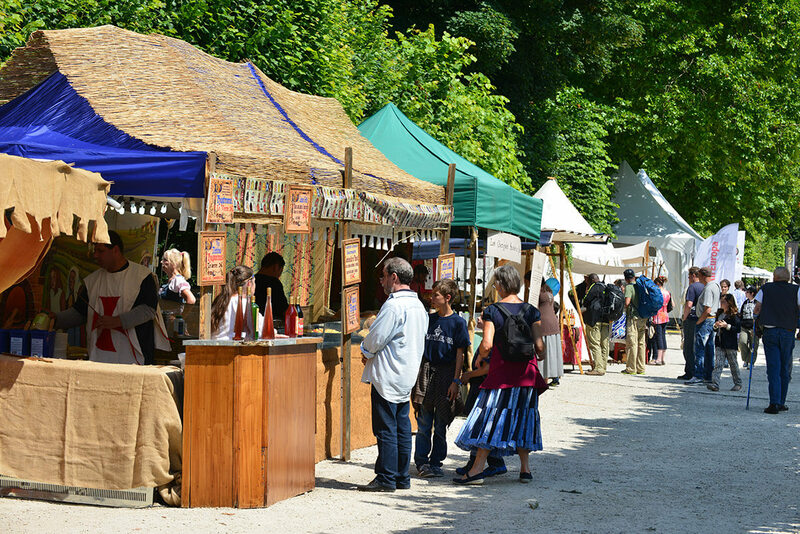 Vous venez? 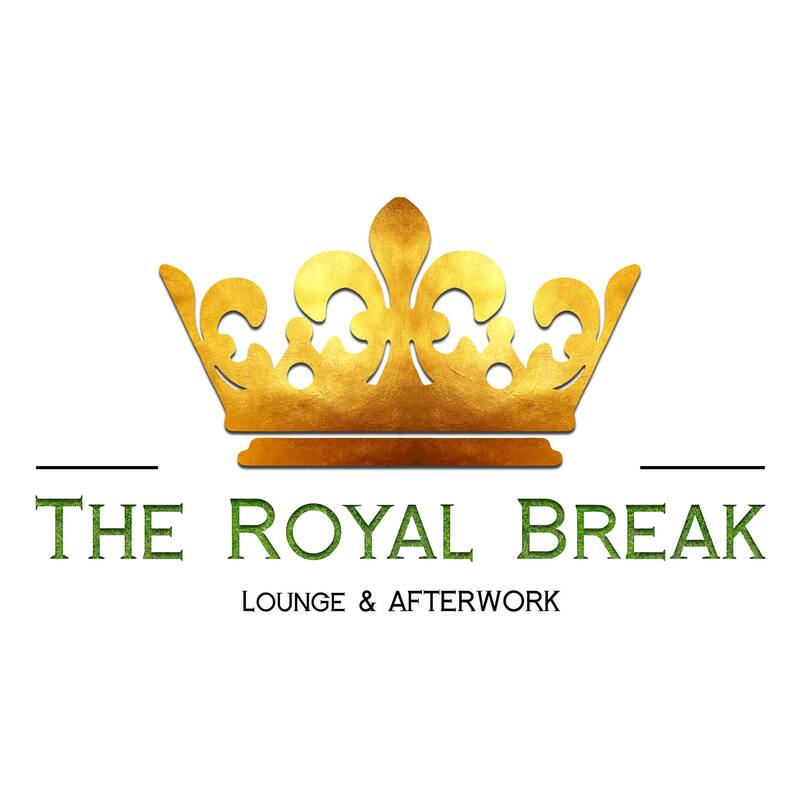 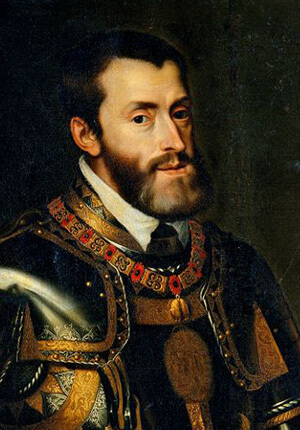 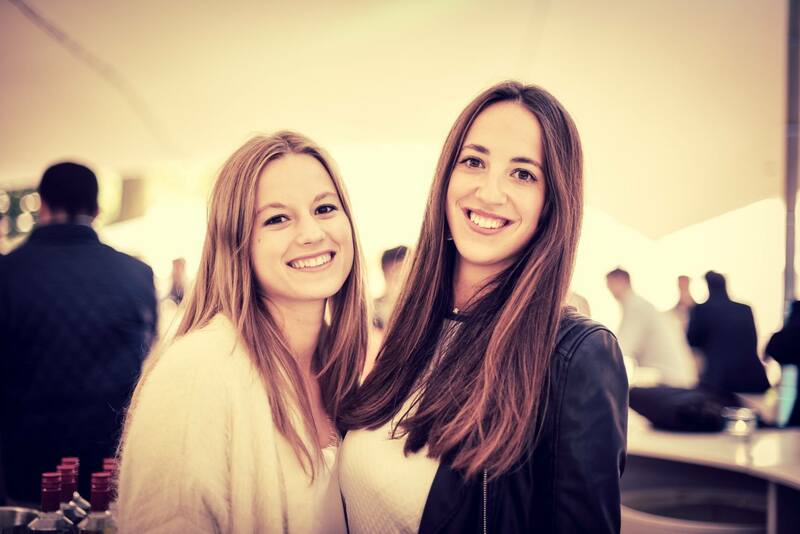 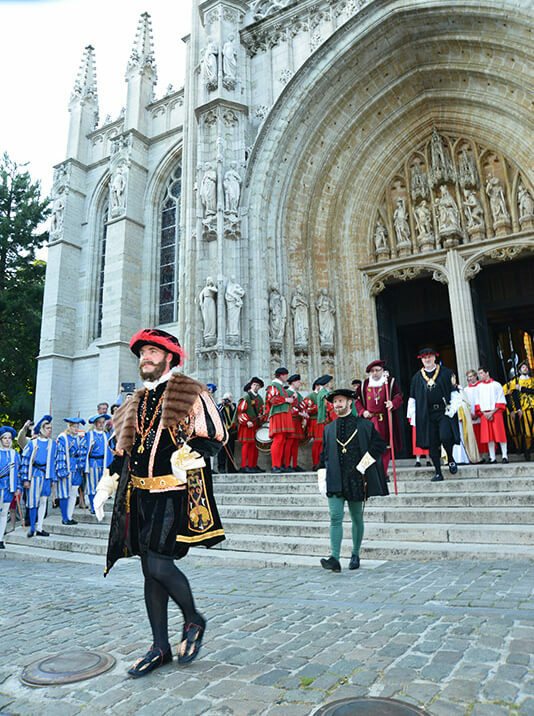 - Festival anual -primer martes y primer jueves de Julio- en Bruselas, de la romería medieval del Ommegang y reviviendo la visita del Emperador Carlos V y de su hijo el Príncipe Felipe -futuro Felipe II de España- a la ciudad de Bruselas en 1549.- Historic festival and pageant in Brussels, every first Tuesday and first Thursday in July, reviving the medieval festival of the Ommegang and the visit of Emperor Charles V and his son Prince Philip -later Philip II of Spain- to Brussels in year 1549. 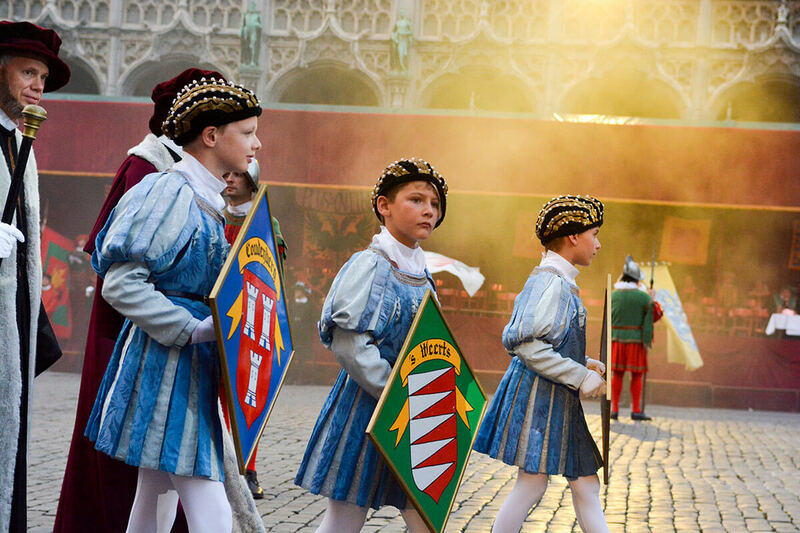 Nous traitons votre demande dans les plus brefs délais. 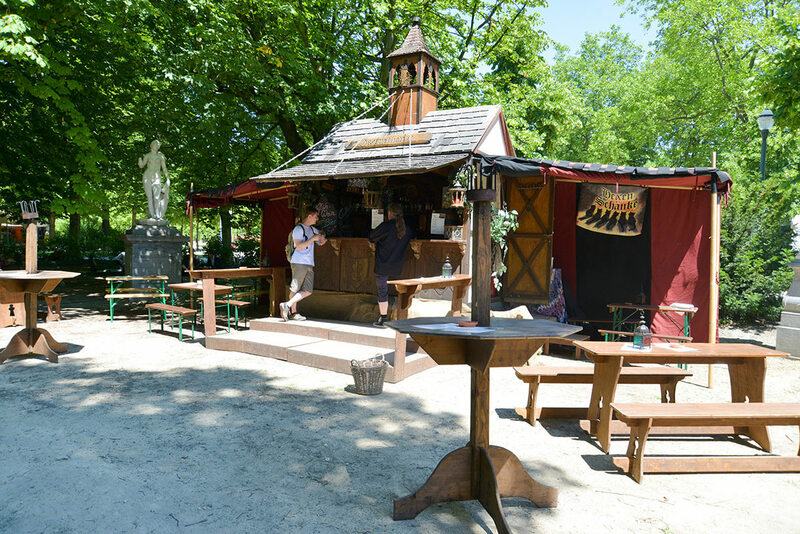 Un email de confirmation vous sera envoyé. 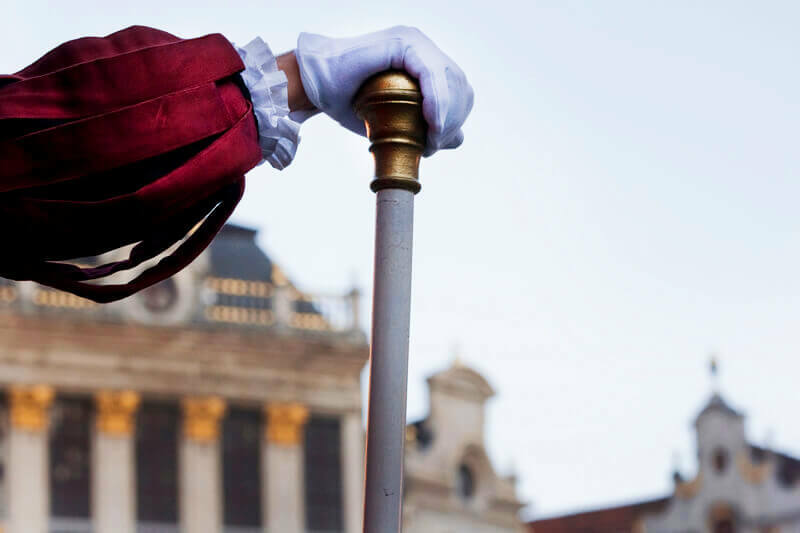 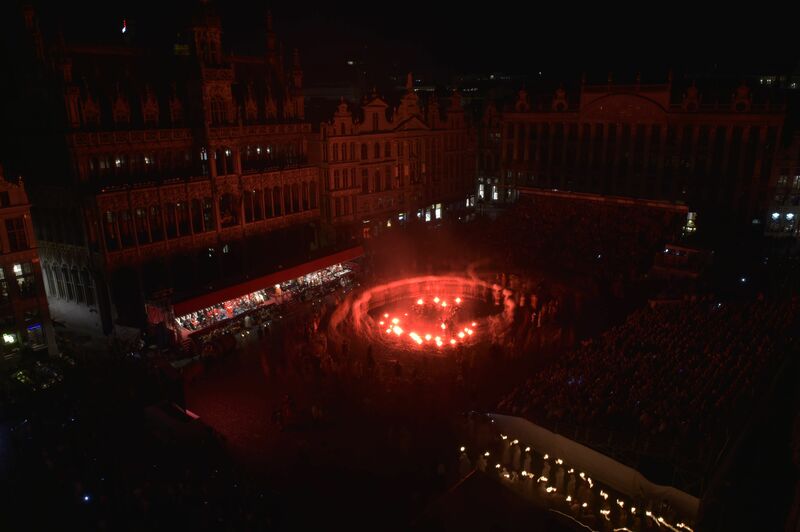 Obligatory dress code (restricted access to the Grand Place): We ask that all journalists comply with the rules and regulations, and present themselves between 20:00 and 21:00 in the courtyard of Brussels City Hall dressed all in black, with black shoes, and without wristwatches or glasses. 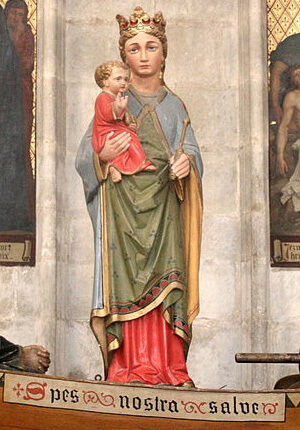 Sport shoes and runners are prohibited. 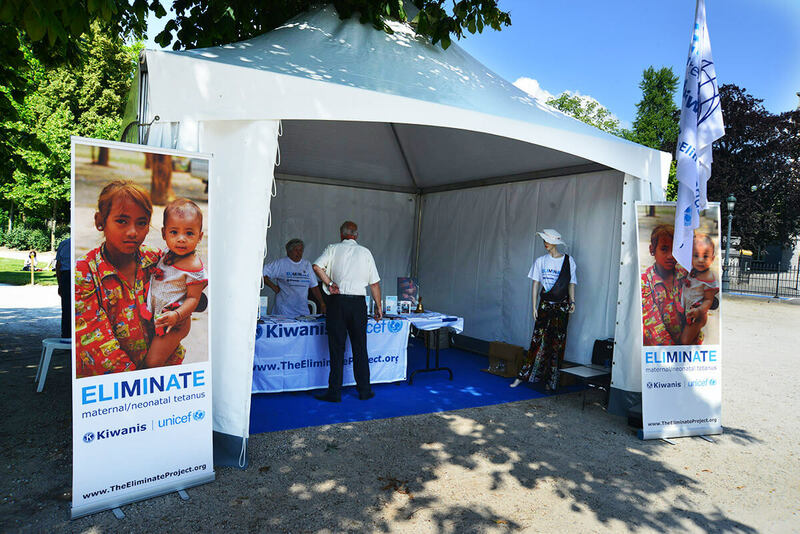 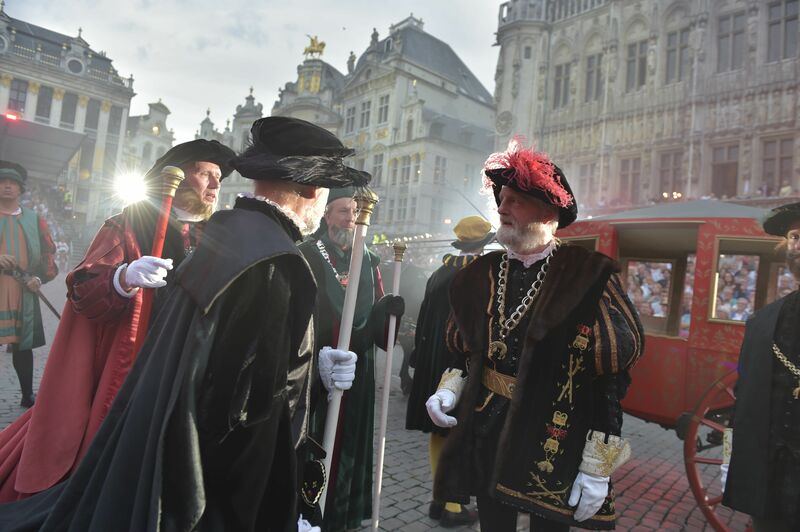 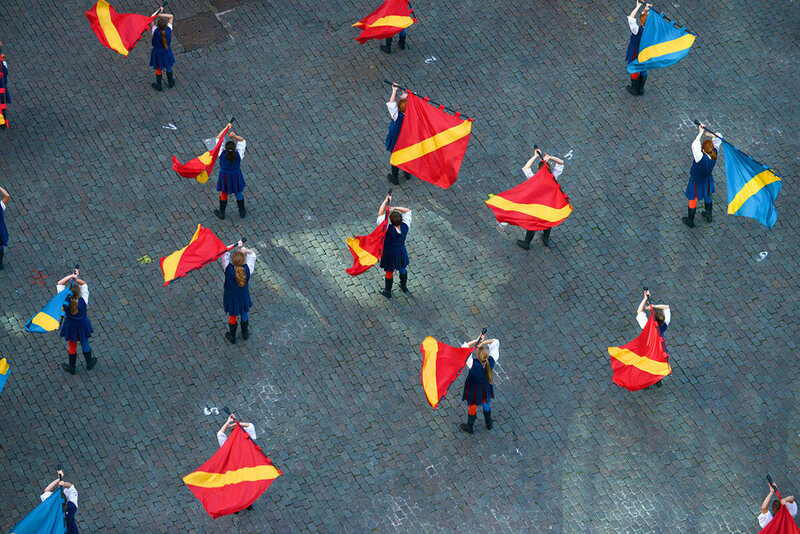 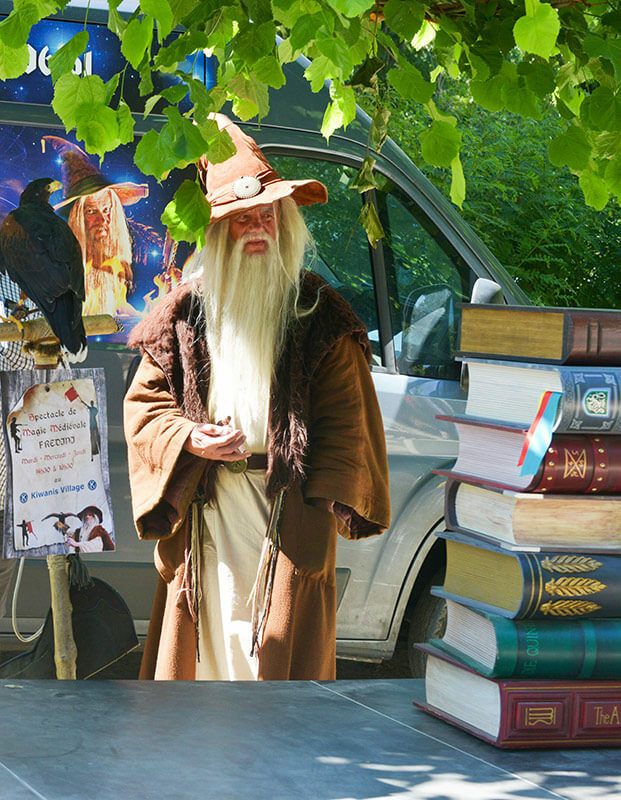 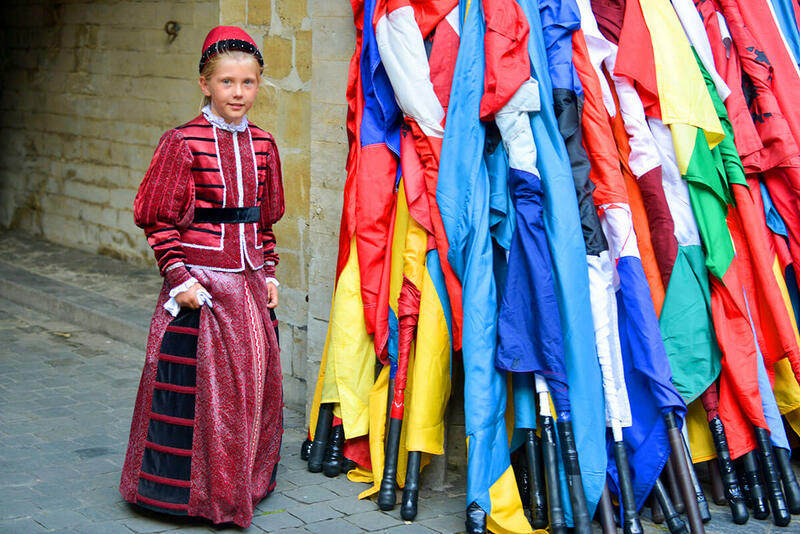 A mandatory cape will be furnished to journalists in the City Hall courtyard prior to being allowed access to the Grand Place. 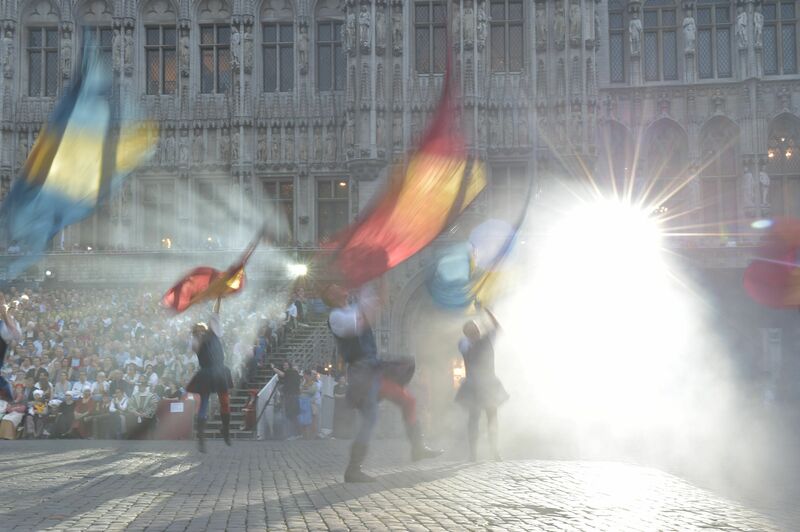 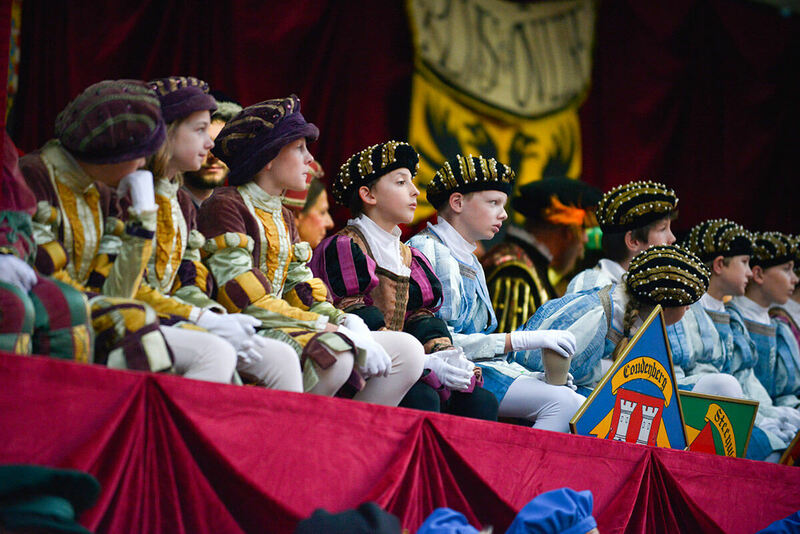 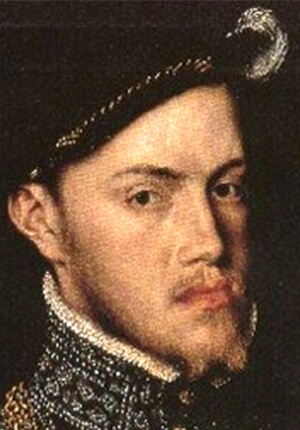 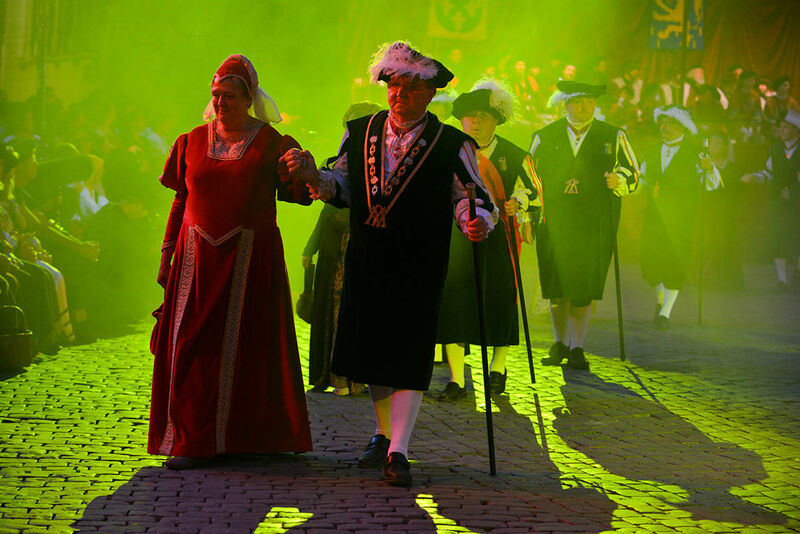 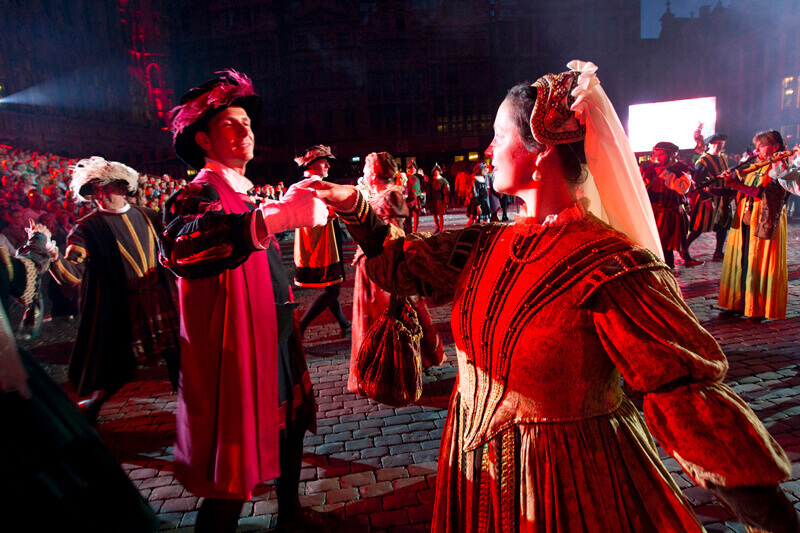 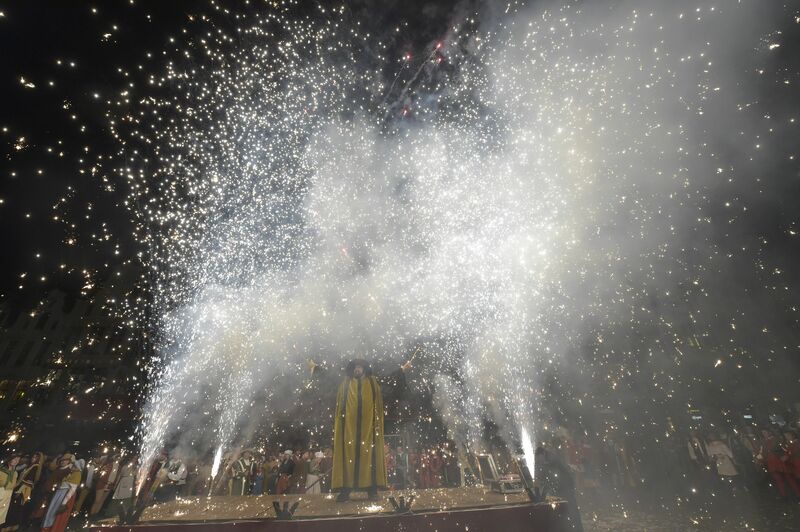 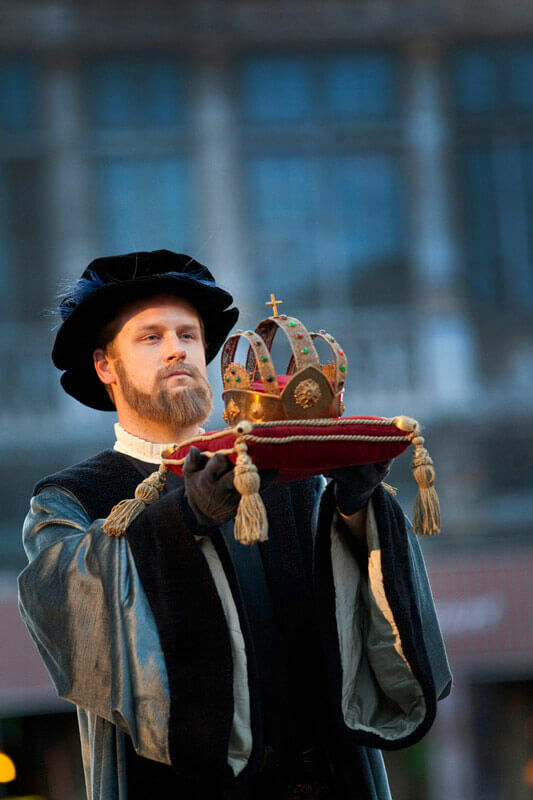 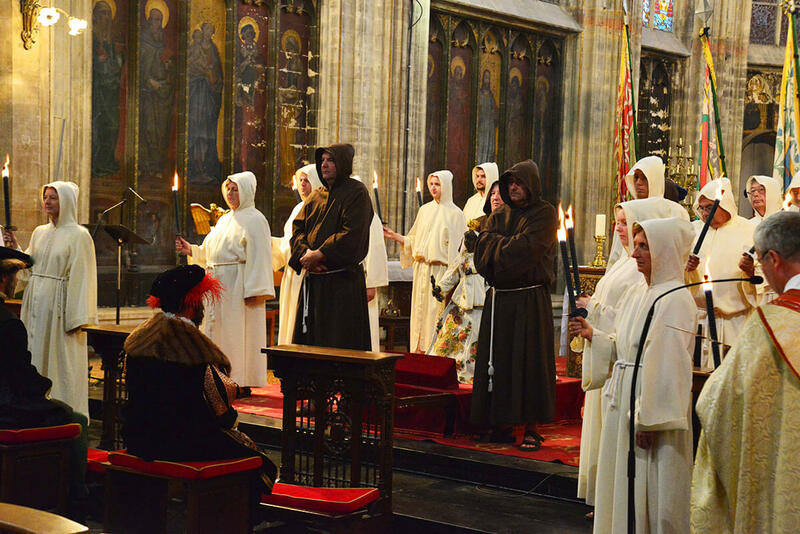 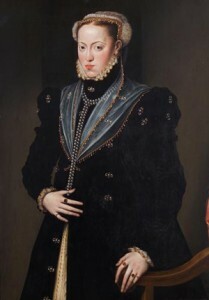 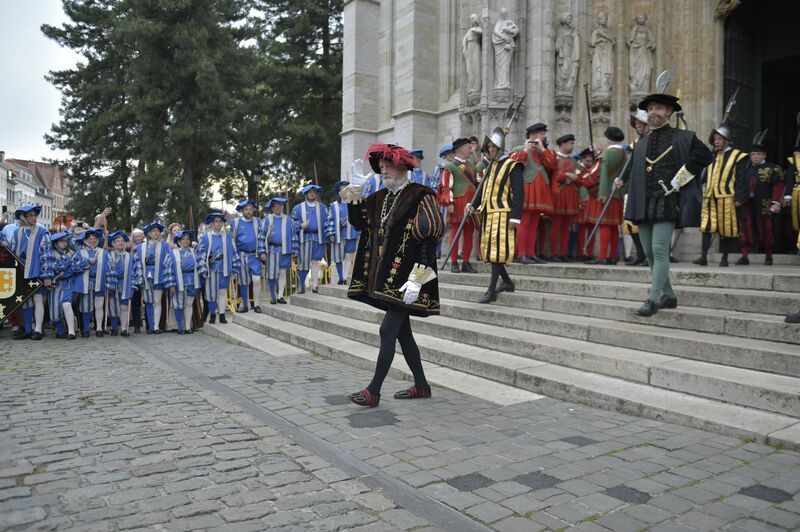 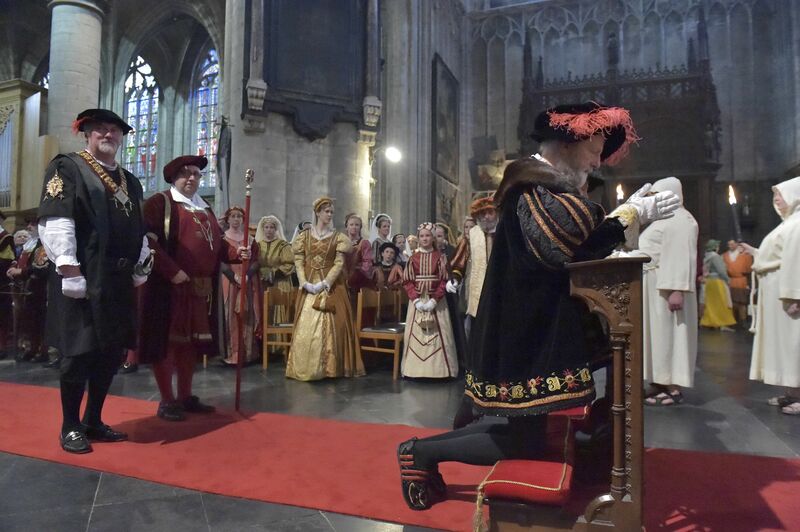 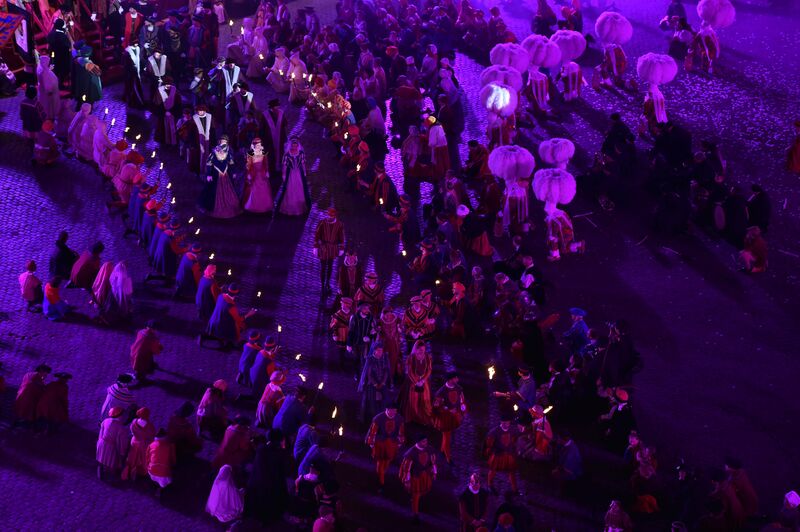 The historical re-enactment of the gala fête on 2 June 1549, organised by the Magistrate of Brussels, and given in honour of the Emperor Charles V “Quint”, his son Phillipe, Infant of Spain and Duke of Brabant, and his sisters, Maria, Queen of Hungary and Eleanore, Queen Dowager of France (widow of Francis I) at the Grand Place of Brussels. 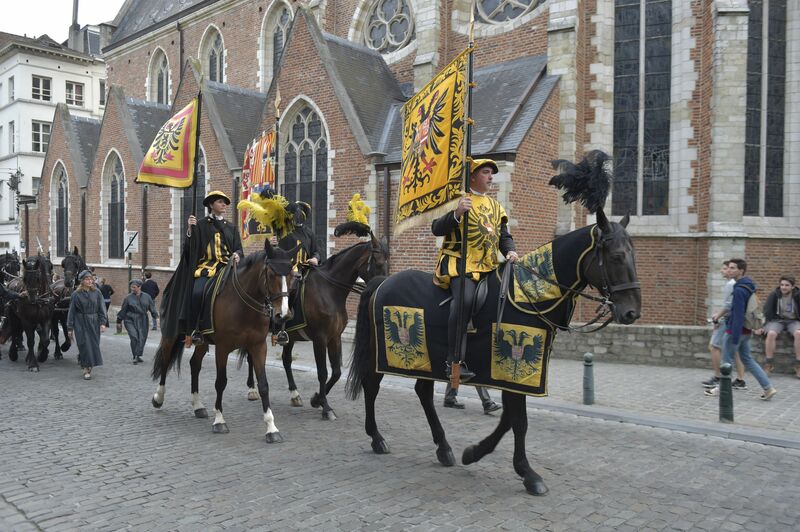 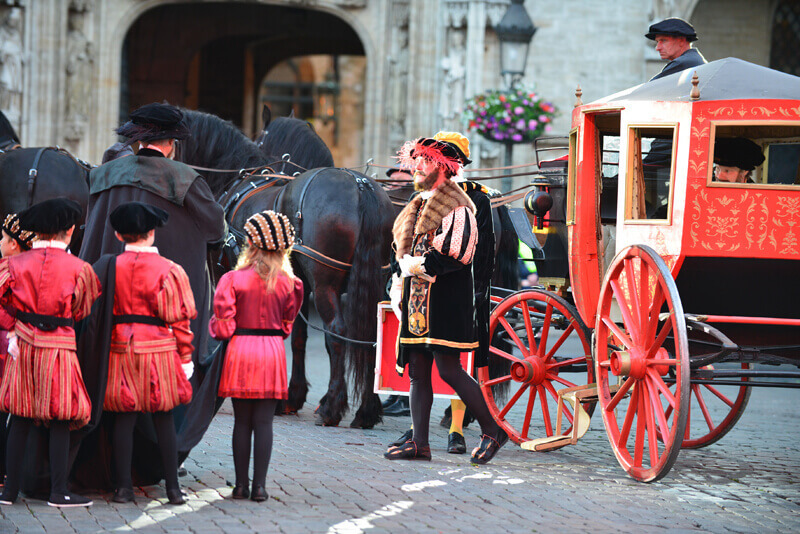 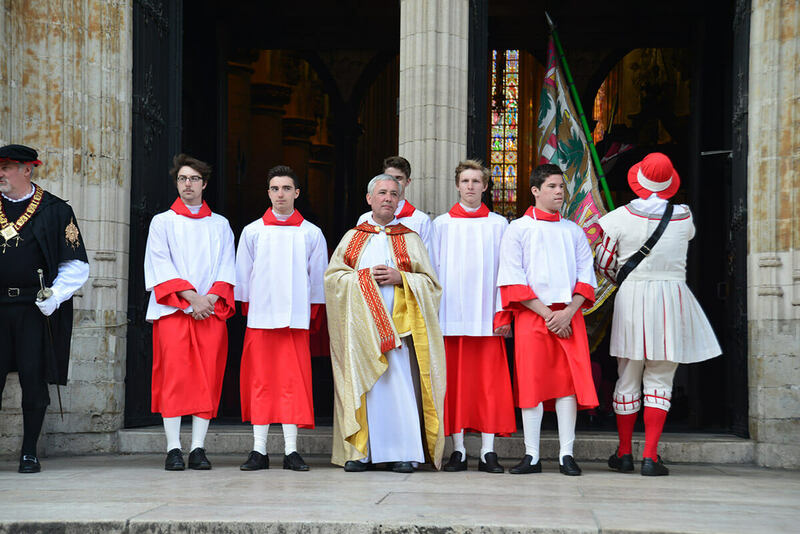 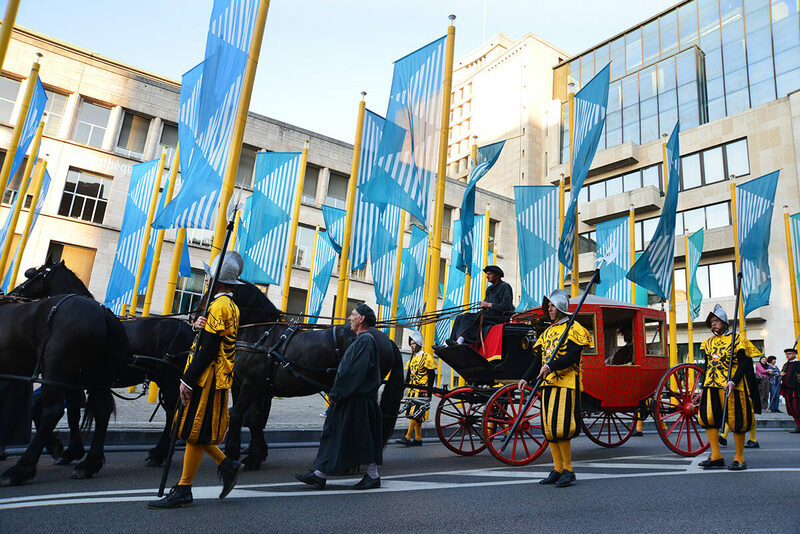 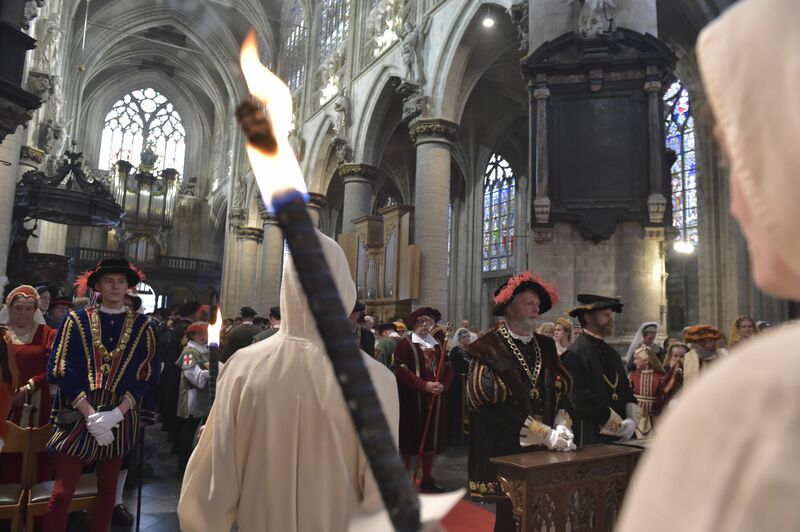 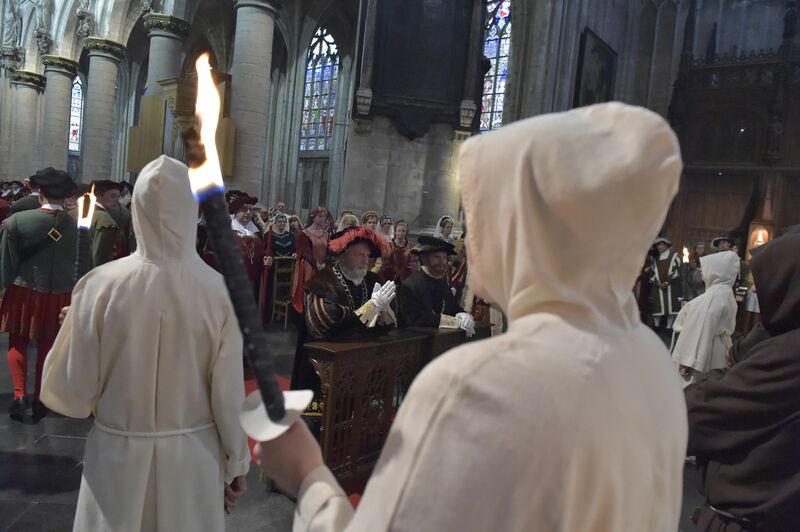 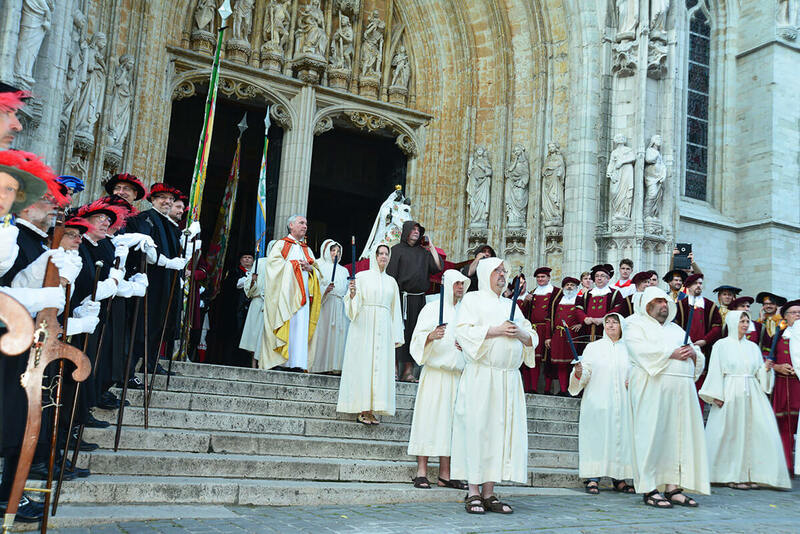 Departure of the procession of the Guilds and Serments of the Sablon.